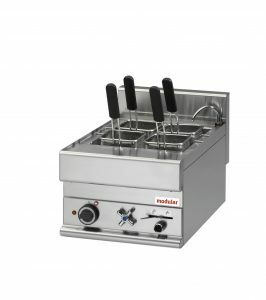 Modular, grâce à son expérience, étudie, conçoit et réalise équipements qui exercentent pleinement leur tâche des cuisines professionnelles, en offrant une large gamme des appareils de cuisson avec haute performance et qualité. 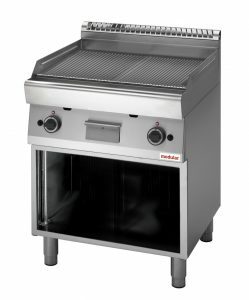 Cuisines professionnelles modulaires pour restaurants, hotels, cafétéria, fast food. 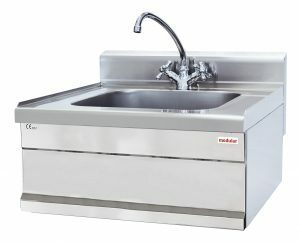 Sink unit, bowl dim. 50x40x15 cm. h.
Gas range extreme on open cabinet. 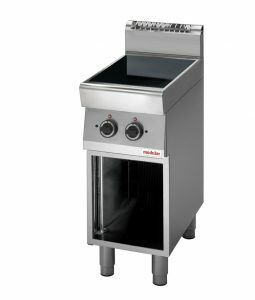 totalgas power 33,5 kw? 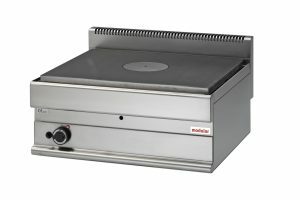 Electric griddle on open cabinet smooth plate, power 5,4 kw. Electric griddle on open cabinet smooth chromed plate, power 5,4 kw. Electric griddle on cabinet with door, smooth chromed plate, power 5.4 kw. 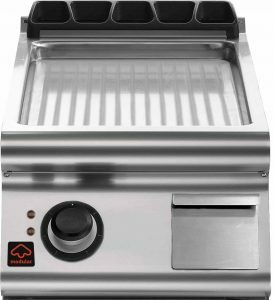 Electric griddle top version smooth chromed plate, power 5,4 kw. 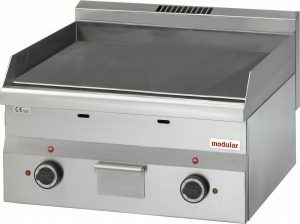 Electric griddle on cabinet with door, smooth plate, power 5,4 kw. Gas griddle on open cabinet, smooth plate, power 6 kw. 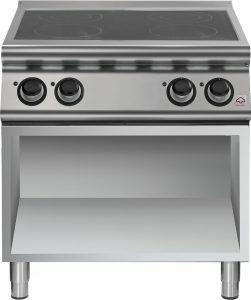 Gas griddle on open cabinet, smooth chromed plate, power 7 kw. 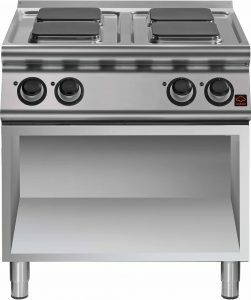 Gas griddle on cabinet with door, smooth chromed plate, power 7 kw. Gas griddle top version, smooth chromed plate, power 7 kw. Gas griddle on cabinet with door, smooth plate, power 6 kw. 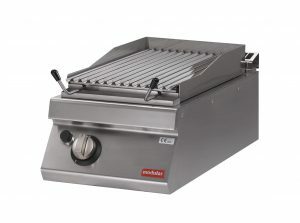 Electric griddle on open cbinet ribbed plate, power 5,4 kw. 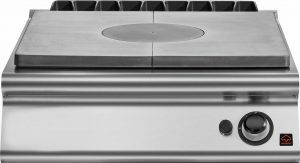 Electric griddle on open cabinet ribbed chromed plate, power 5,4 kw. 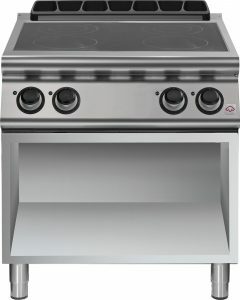 Electric griddle on cabinet with door ribbed chromed plate, power 5,4 kw. 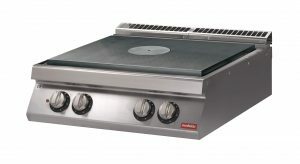 Electric griddle top versione, power 5,4 kw. 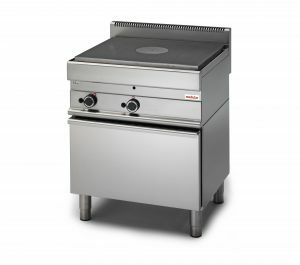 Electric griddle top versione ribbed plate, power 5.4 kw. 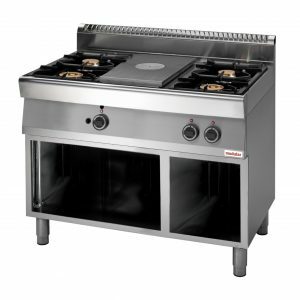 Gas griddle on open cabinet, with ribbed chrimed plate, power 7 kw. 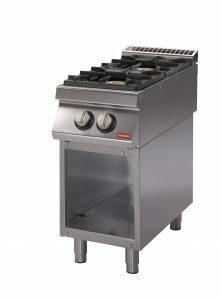 Gas griddle on cabinet with door, ribbed chromed plate, power 7 kw. Gas griddle top version, with ribbed chromed plate, power 7 kw. 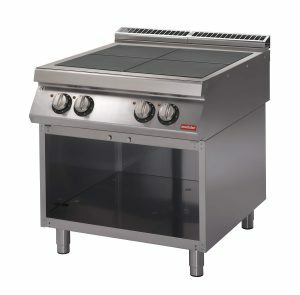 Gas griddle, ribbed plate, on cabinet with door, power 6 kw. 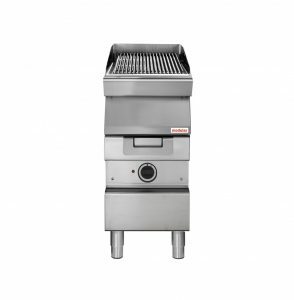 Gas griddle, ribbed plate, top version, power 6 kw. Neutral unit on open cabinet. Neutral unit on cabinet with door. Neutral unit on open cabinet, 1 drawer. Neutral unit on cabinet with door, 1 drawer. Neutral unit, top version, 1 drawer. Heated chip dump on open cabinet, power 1 kw. Heated chip dump on cabinet with door, power 1 kw. Heated chip dump top version, 1 kw. Electric griddle on open cabinet smooth plate, power 10,8 kw. Electric griddle on open cabinet, smooth chromed plate, power 10.8 kw. Electric griddle on cabinet with doors, smooth chromed plate, power 10,8 kw. Electric griddle on cabinet with doors, power 10,8 kw. 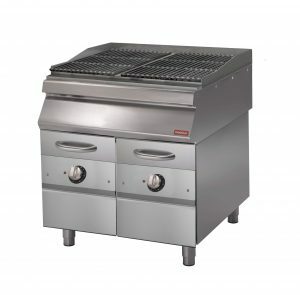 Gas griddle on open cabinet, smooth plate, power 12 kw? 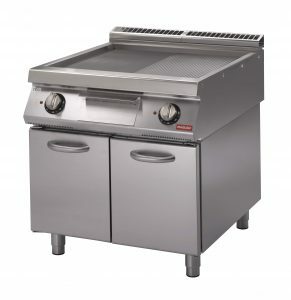 Gas griddle on open cabinet, smooth plate, power 12 kw. Gas griddle on open cabient, smooth chromed plate, power 14 kw. 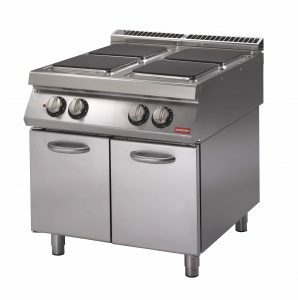 Gas griddle on cabinet with doors, smooth chromed plate, power 14 kw. Gas griddle, top version smooth chromed plate, 14 kw. Gas griddle on cabinet with doors, with smooth plate, power 12 kw. Gas griddle top version, smooth plate, power 12 kw. Electric griddle on open cabinet 1/2 smooth plate 1/2 ribbed plate, power 10,8 kw. Electric griddle on open cabinet 1/2 smooth plate 1/2 ribbed plate chromed, power 10,8 kw. 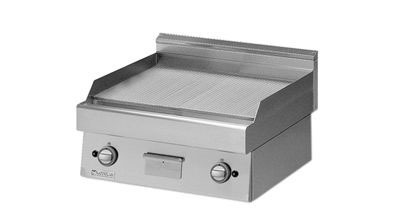 Electric griddle top version 1/2 smooth plate 1/2 ribbed plate chromed, power 10,8 kw. Electric griddle on cabinet with doors 1/2 smooth plate 1/2 ribbed plate, power 10,8 kw. Electric griddle top version 1/2 smooth plate 1/2 ribbed plate, power 10,8 kw. 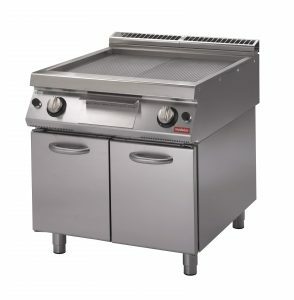 Gas griddle on open cabinet, 1/2 smooth plate, 1/2 ribbed plate, power 12 kw. Gas griddle on open cabinet, 1/2 smooth plate 1/2 ribbed plate, chromed, power 14 kw. Gas griddle on cabinet with doors, 1/2 smooth plate 1/2 ribbed plate, chromed, 14 kw. Gas griddle, 1/2 smooth plate, 1/2 ribbed plate, power 14 kw. Gas griddle, on cabinet with doors, 1/2 smooth plate, 1/2 ribbed plate, power 12 kw. Gas griddle, top version 1/2 smooth plate, 1/2 ribbed plate, power 12 kw. 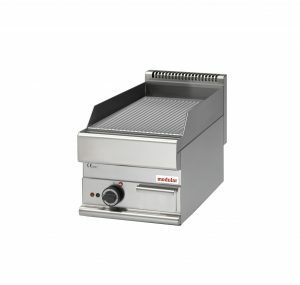 Electric griddle on open cabinet ribbed plate, power 10,8 kw. 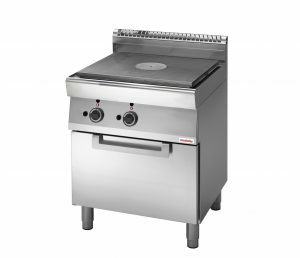 Electric griddle on open cabinet ribbed chromed plate, power 10.8 kw. 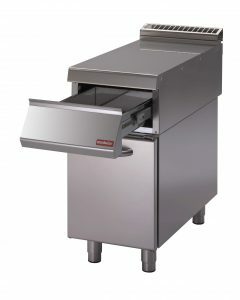 Electric griddle on open cabinet with doors, ribbed chromed plate, power 10,8 kw. 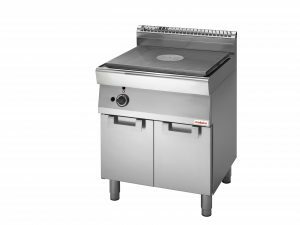 Electric griddle top vesion ribbed chromed plate, 10,8 kw. Electric griddle on cabinet with doors ribbed plate, power 10,8 kw. Gas griddle on open cabinet, ribbed plate, 12 kw. Gas griddle, on open cabinet, ribbed chromed plate, power 14 kw. 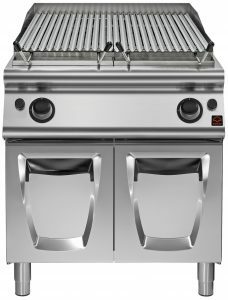 Gas griddle on cabinet with doors, ribbed chromed plate, 14 kw. Gas griddle, top version, ribbed chromed plate, power 14 kw. Gas griddle on cabinet with doors, ribbed plate, potenza 12 kw. 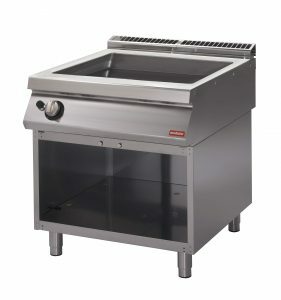 Gas griddle top version, ribbed plate, power 12 kw. 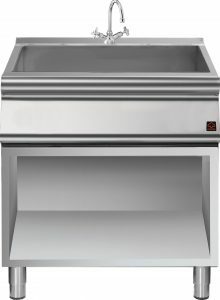 Sink on cabinet with doors. Neutral unit on cabinet whit doors. Neutral unit on, top version. Neutral unit on cabinet with doors, 1 drawer. 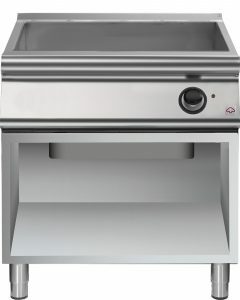 Neutral unit, versione top, 1 drawer. 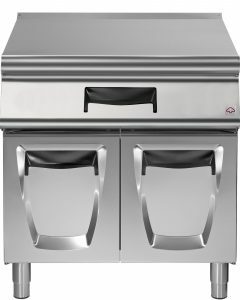 Electric solid top on cabinet with doors, 4 cooking zones. total power 10 kw. 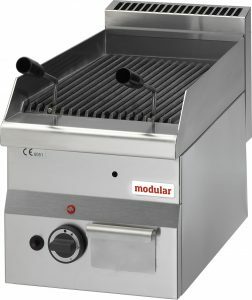 Electric griddle on cabinet with door smooth plate, power 7,5 kw. 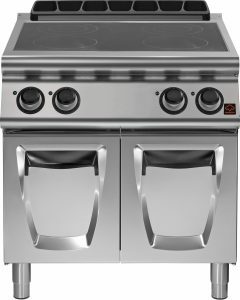 Gas range,electric conenction oven. totalgas power 52 kw. 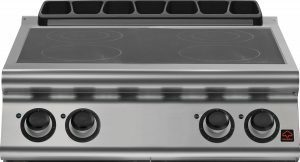 Gas range extreme on cabinet with doors. 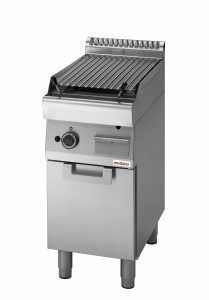 totalgas power 56 kw? 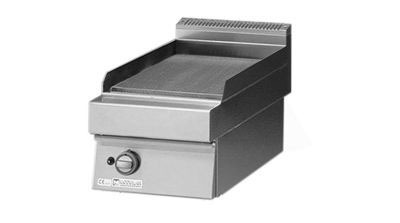 Electric griddle on open csbinet smooth plate, power 7,5. 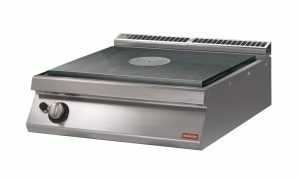 Electric griddle on open cabinet smooth cromed plate, power 7,5 kw. 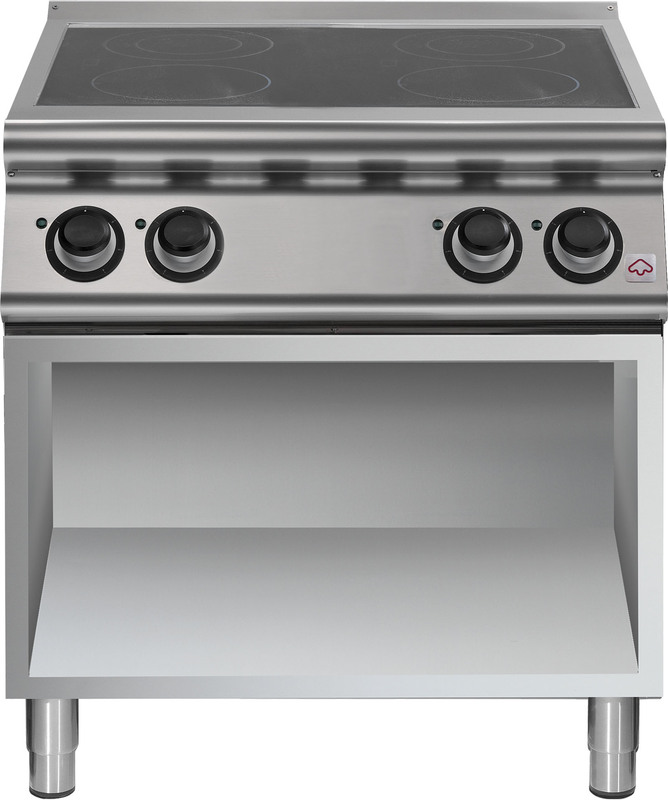 Gas griddle on cabinet with door smooth chromed plate, power 7,5 kw. 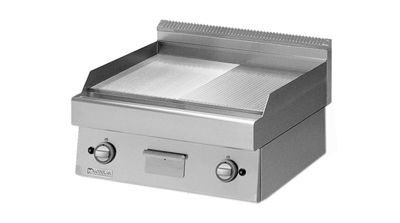 Electric griddle top version smooth chromed plate, power 7,5. 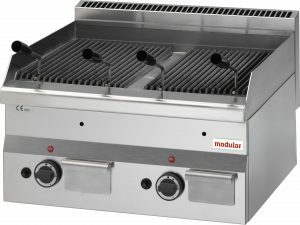 Gas griddle top version smooth plate, power 7.5 kw. 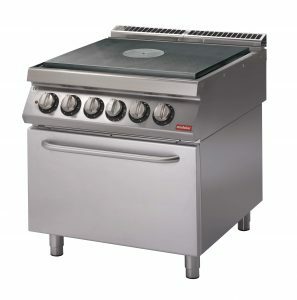 Gas griddle top version on open cabinet smooth plate, power 7 kw. 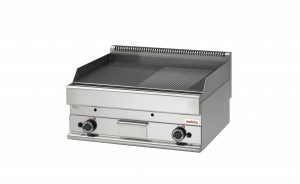 Gas griddle on casbinet with door, smooth chromed plate, power 10,5 kw. Gas griddle on cabinet with doors smooth plate, power 14 kw. 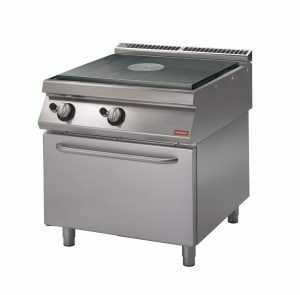 Gas griddle top version smooth plate, power 7 kw. Electric griddle on open cabinet ribbed plate, power 7,5 kw. Electric griddle on open cabinet ribbed chromed plate, power 7,5. Electric griddle on cabinet with door ribbed chromed plate, power 7,5 kw. Electric griddle top version ribbed chromed plate, power 7,5 kw. Electric griddle top version ribbed chromed plate, power 7.5 kw. Electric griddle top version ribbed plate, power 7,5 kw. 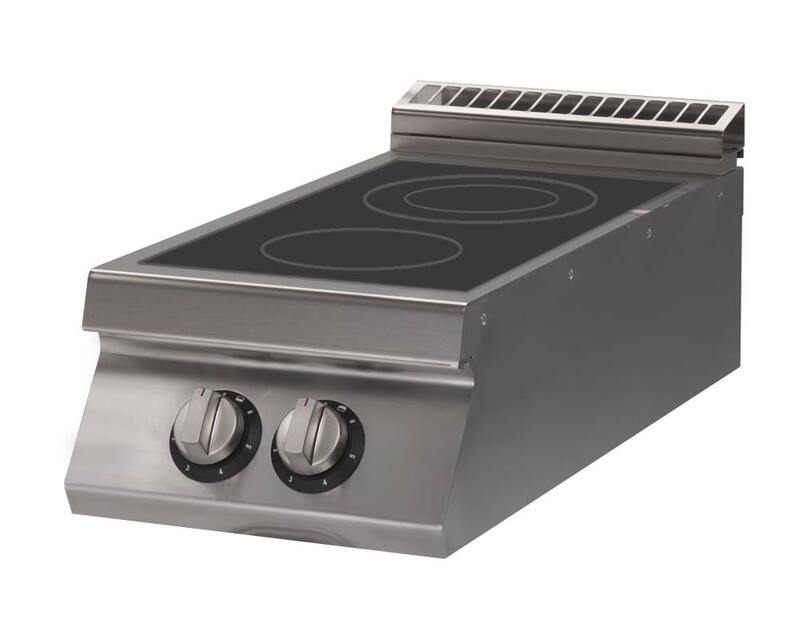 Gas griddle on open cabinet ribbed plate, power 7 kw. Gas griddle on cabinet with door ribbed chromed plate, power 10,5 kw. Gas griddle top version ribbed chromed plate, power 10,5 kw. Gas griddle on cabinet with door ribbed plate, power 7 kw. 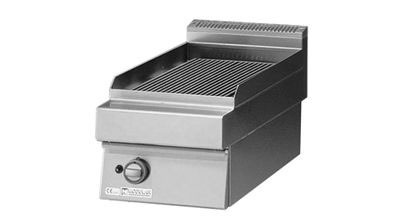 Gas griddle top version ribbed plate, power 7 kw. 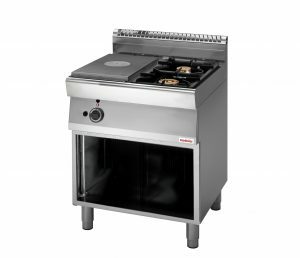 Electric range, 2 tilting plates 4 kw heating power. top version. 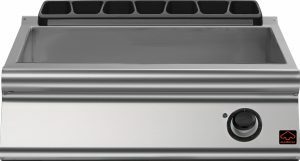 power 8 kw. 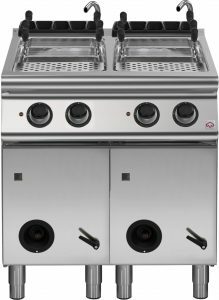 Electric range on cabinet with door, 2 tilting plates 4 kw heating power. 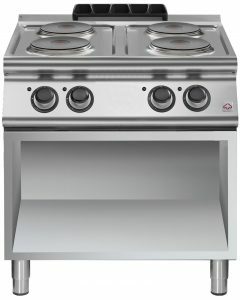 Electric range, 2 tilting plates 4 kw heating power.top version. power 8 kw. 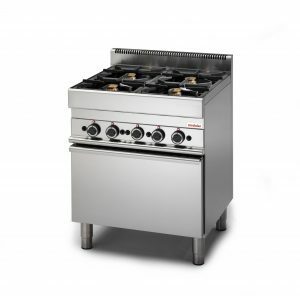 Electric range, 2 square plates 3.5 kw heating power, on open cabinet. potenza 7 kw. Electric range, on cabinet with door. power 7 kw. Electric range, top version. 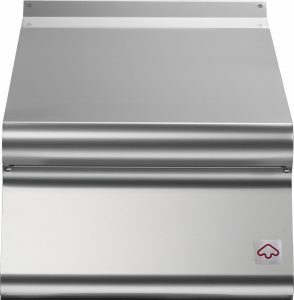 2 square plates 3,5 kw heating power. power 7 kw. Gas range extreme on open cabinet. totalgas power 16 kw? Gas range extreme on cabinet with door. 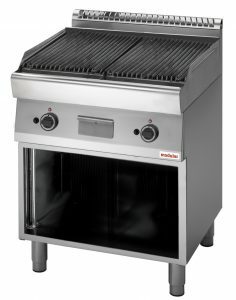 totalgas power 16 kw? 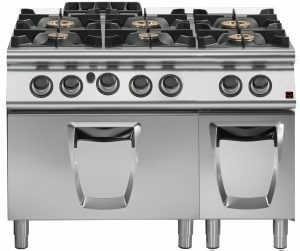 Gas range extreme top version. 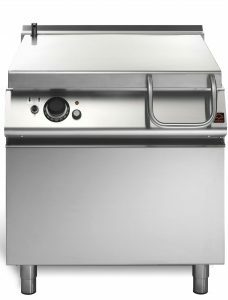 totalgas power 16 kw? 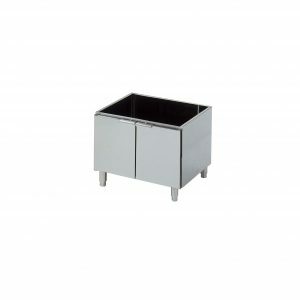 Neutral unit with 1 drawer on open cabinet. Neutral unit with 1 drawer on cabinet with door. 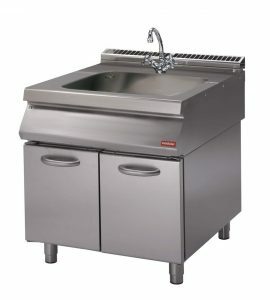 Neutral unit with 1 drawer, top version. Heated chip dump, top version, power 1 kw. Electric range on electric oven, 4 tilting plates 4 kw heating power.electric oven power 6 kw. 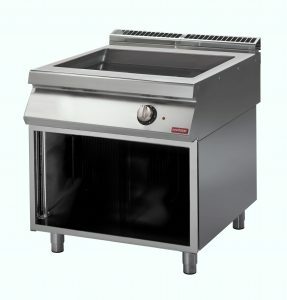 Electric range on electric oven. 4 square plates 3,5 kw heatin power.electric oven 6 kw. Electric range on electric oven, 4 square plates 3,5 heatin power.electric convenction oven 6 kw. Gas range.electric convection oven to 6 kw. totalgas power 36 kw. 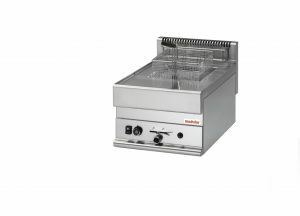 Electric griddle on open cabinet smooth plate, power 15 kw. 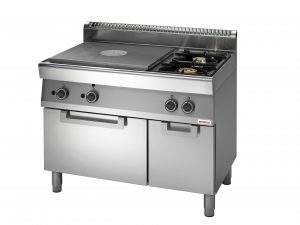 Gas griddle on open cabinet smooth chromed plate, power 15 kw. Electric griddle on cabinet with doors smooth cromed plate, power 15 kw. 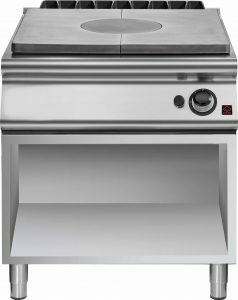 Gas griddle top version smooth chromed plate, power 15 kw. 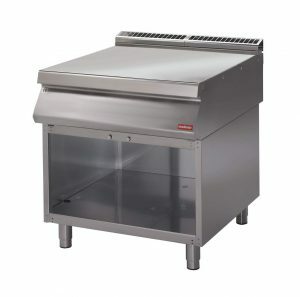 Electric griddle on cabinet with doors smooth plate, power 15 kw. Electric griddle top version smooth plate, power 15 kw. Gas griddle on open cabinet 1/2 smooth plate 1/2 ribbed plate, power 14 kw. 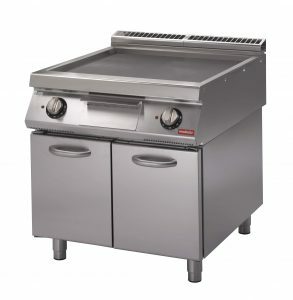 Gas griddle on open cabinet smooth plate, power 14 kw. 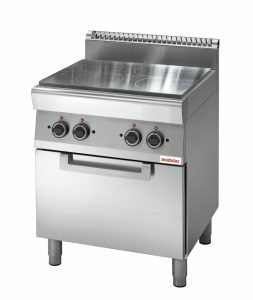 Gas griddle o open caninet smooth chromed plate, power 21 kw. Gas griddle on open cabinet with doors smooth chromed plate, power 21 kw. Gas griddle top version smooth chromed plate, power 21 kw. 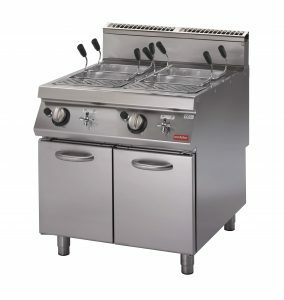 Gas griddle, smooth plate on cabinet with doors. power 14 kw. Gas griddle top version smooth plate, power 14 kw. Electric griddle on open cabinet 1/2 smooth plate 1/2 ribbed plate, power 15 kw. Electric griddle on cabinet with doors 1/2 smooth plate 1/2 ribbed plate chromed, power 15 kw. Electric griddle top version 1/2 smooth 1/2 ribbed plate, power 15 kw. Electric griddle on cabinet with doors, 1/2 smooth plate 1/2 ribbed plate, power 15 kw. Electric griddle, 1/2 smooth 1/2 ribbed plate, top version. power 15 kw. 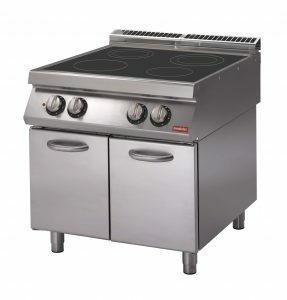 Gas griddle on cabinet with doors 1/2 smooth 1/2 ribbed plate, chromed, power 21 kw. Gas griddle top version 1/2 smooth plate, 1/2 ribbed plate chromed, power 21 kw. 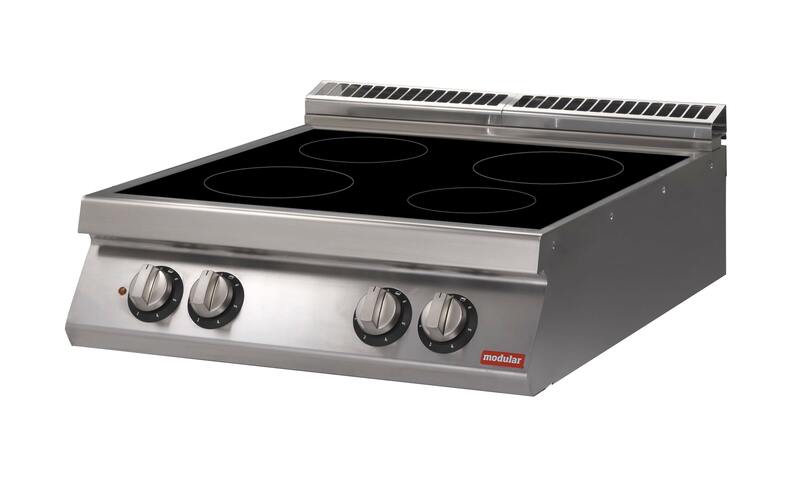 Gas griddle on cabinet with doors 1/2 smooth plate, 1/2 ribbed plate, power 14. 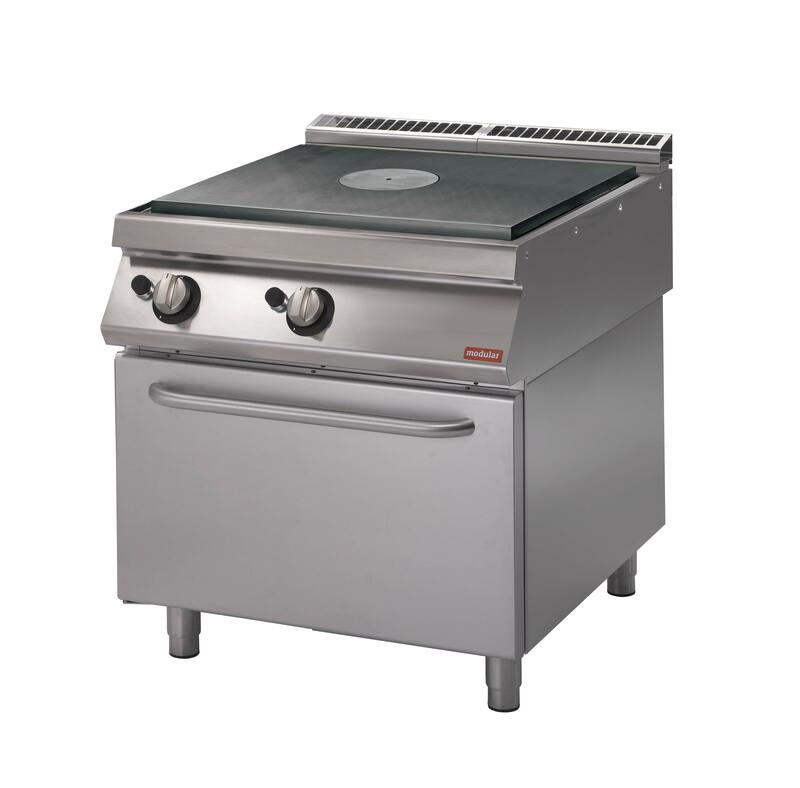 Gas griddle top version 1/2 smooth plate 1/2 ribbed plate, power 14 kw. 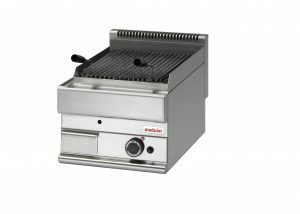 Electric griddle on open cabinet ribbed plate, power 15 kw. 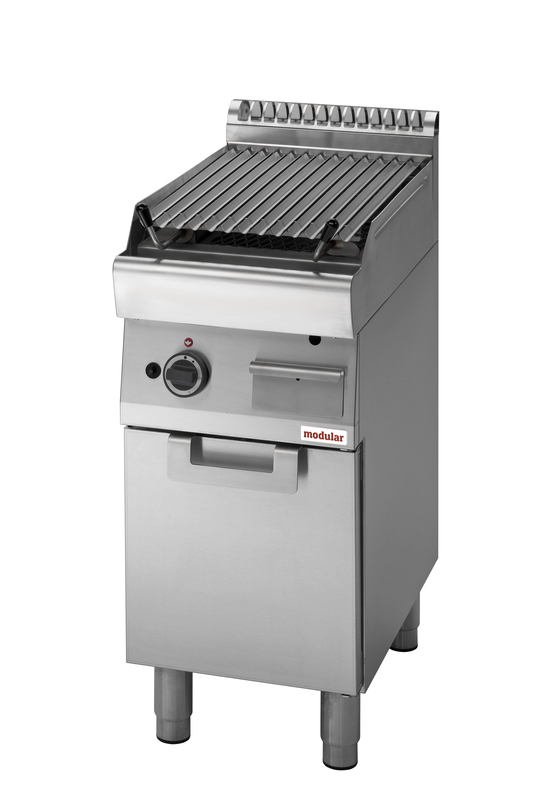 Electric griddle on open cabinet ribbed chromed plate, power 15 kw. Electric griddle on cabinet with doors ribbed chromed plate, power 15 kw. Electric griddle top version ribbed chromed plate, power 15 kw. Electric griddle on cabinet with doors ribbed plate, power 15 kw. 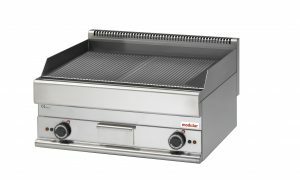 Electric griddle top version ribbed plate, power 15 kw. Gas griddle on open cabinet ribbed plate, power 14 kw. Gas griddle on open cabinet ribbed chromed plate, power 21 kw. 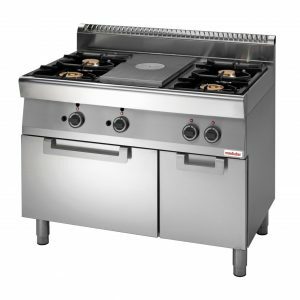 Gas griddle on open cabinet with doors ribbed chromed plate, power 21 kw. 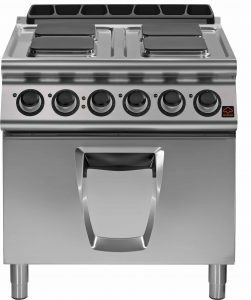 Gas griddle, ribbed chromed plate, top version. power 21 kw. Gas griddle on cabinet with doors ribbed plate, power 154 kw. 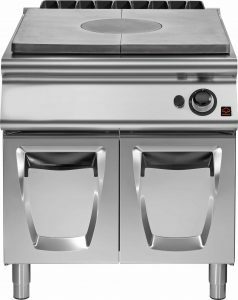 Gas griddle top version ribbed chromed plate, power 14 kw. 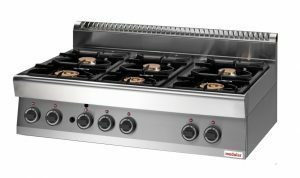 Electric range on open cabinet, 4 tilting plates 4 kw heating power. 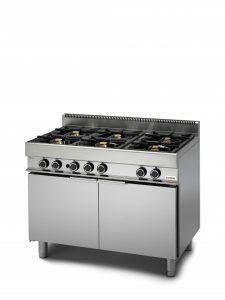 Electric range on cabinet with door, 4 tilting plate 4 kw heating power. 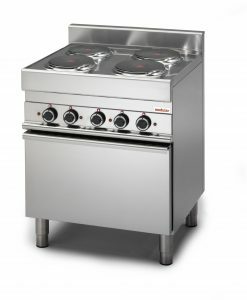 Electric range, 4 tilting plates 4 kw heating power. top version. Electric range, on open cabinet. power 14 kw. 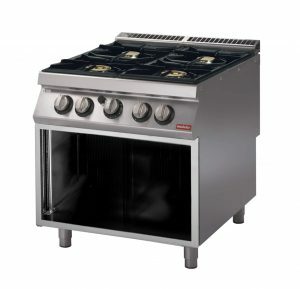 Electric range, on cabinet with doors. power 14 kw. Electric range, top version. power 14 kw. 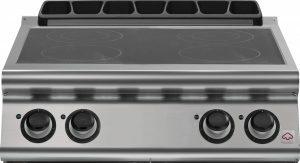 Gas range extreme on cabinet with doors. 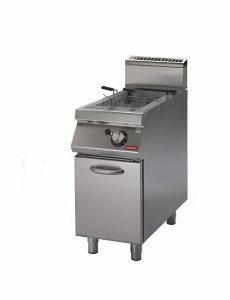 totalgas power 36 kw? 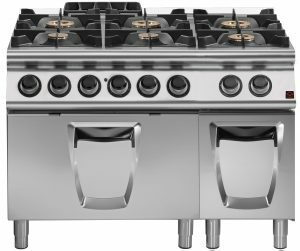 Gas range extreme top version. totalgas power 36 kw? 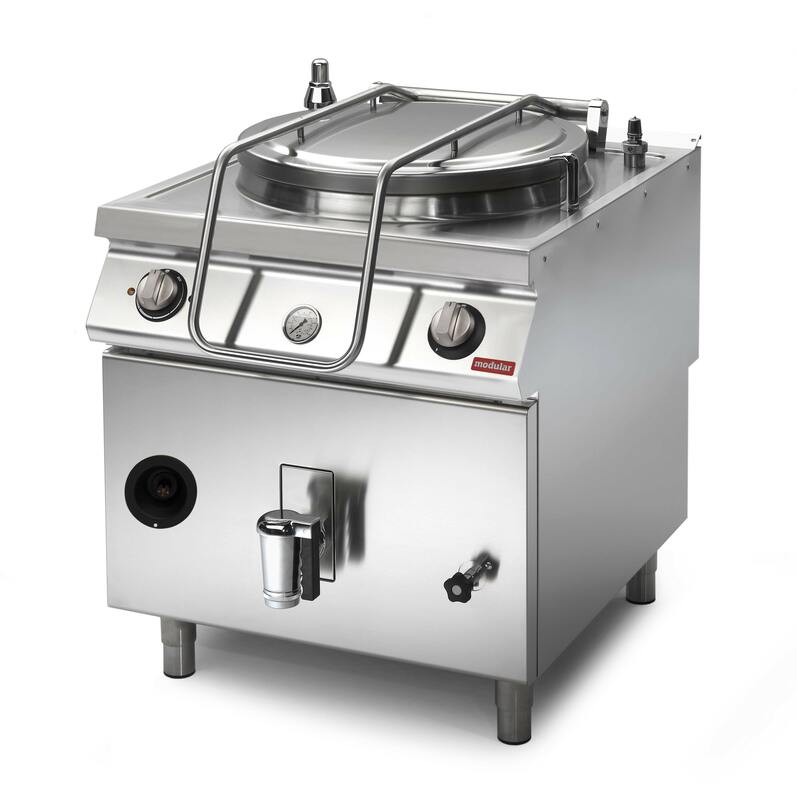 Electric boiling pan, direct heating, 100 t capacity. power 12,1 kw. Electric boiling pan, direct heating, 150 lt capacity. potenza 12,1 kw. 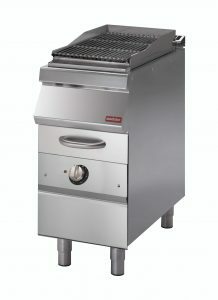 Electric power, indirect heating, 50 lt capacity. power 12,3 kw. 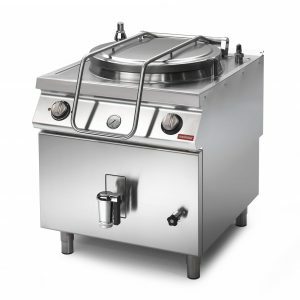 Gas boiling pan, direct heating, 100 lt capacity. power 21 kw. 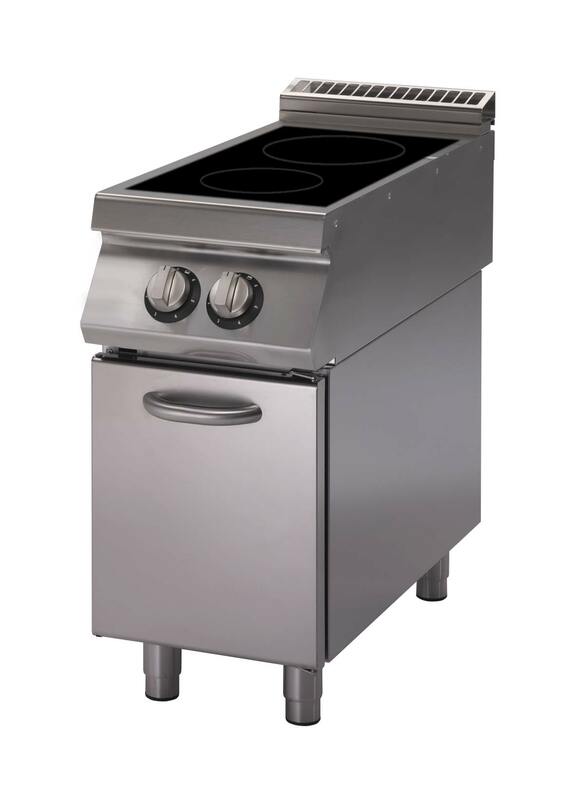 Gas boiling pan, direct heating, 150 lt capacity. power 24 kw. 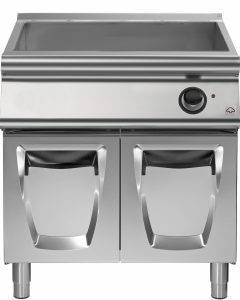 Gas boiling pan, direct heating, 50 lt. power 10,5 kw. Gas boiling pan, indirect heating, 50 lt capacity. power 10,5 kw. Neutral unit on cabinet with doors. Neutral unit with 1 drawer on cabinet with doors. Electric solid top, top version. 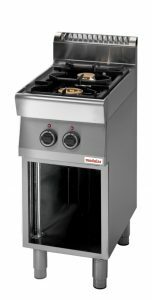 4 cooking zone 3,4 kw for zone. 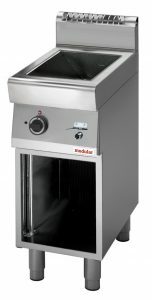 Electric solid top on electric convection oven 6 kw, 4 cooking zones 3,4 kw heating power. Gas solid top on cabinet with doors. solid top plate burner output 7 kw. 2 burners 10+6 kw. 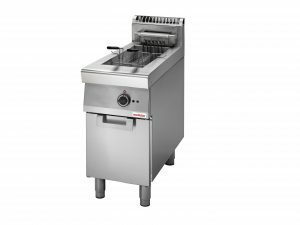 Electric bain-marie, 1 bowl gn 15 h.
Electric pasta cooker, 1 bowl capacity 14 l.
Electric fryer, 1 bowl capacity 10 l. supplied with 1 basket. Gas fryer, 1 bowl capacity 8 l. supplied with 1 basket. Electric griddle, flat chromed plate. Gas griddle, flat chromed plate. Electric griddle, grooved chromed plate. Gas griddle, grooved chromed plate. Lava-stone grill. power 5,5 kw. 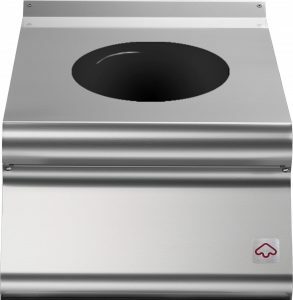 Heated chip dump, container gn1/2. 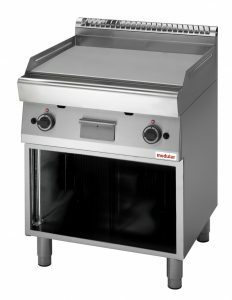 Electric range, 4 plates, electric convection oven. Gas range, 4 burners, gas oven, el grill. 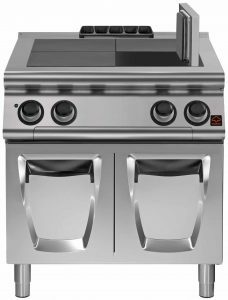 Gas range, 4 burners, electric convection oven. 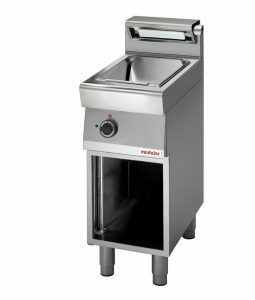 Electric pasta cooker, 1 bowl capacity 30 l.
Electric fryer, 2 bowls capacity 10+10 l. supplied with 2 baskets. Electric fryer, 2 bowls capacity 10+10 l. supplied with 1 basket. Gas fryer, 2 bowls capacity 8+8 l. supplied with basket. 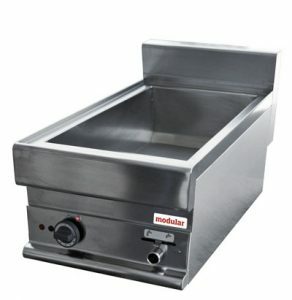 Electric griddle, 1/2 flat 1/2 grooved plate. 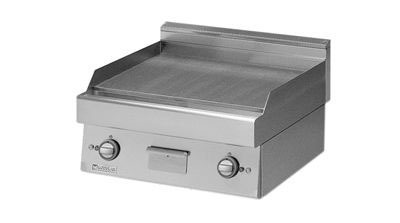 Electric griddle, 1/2 flat 1/2 grooved chromed plate. Gas griddle, 1/2 flat 1/2 grooved plate. 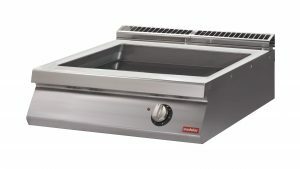 Gas griddle, 1/2 flat 1/2 grooved chromed plate. Lava-stone grill. power 10 kw. 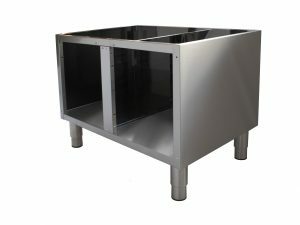 Sink unit, bowl dimension 40x40x20 h cm. 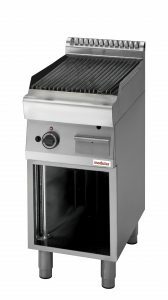 Electric range, 4 plates, electric convection oven gn 1/1 stainless steel door. 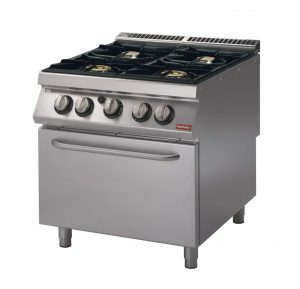 Gas range, 6 burners, gas oven, neutral cabinet. Gas range, 6 burners, electric convection oven, neutral cabinet. 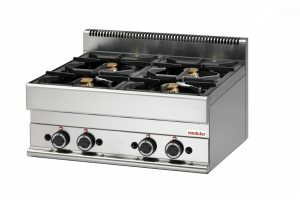 Gas range, 6 burners, maxi gas oven dim.80x54x38 cm.h. 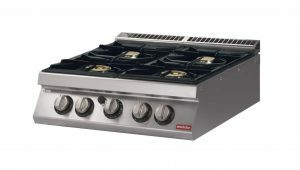 Gas solid top, 4 burners, gas oven. 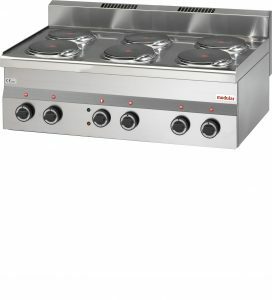 Gas solid top, 4 burners. Electric warm cabinet with doors. power 0,76 kw. 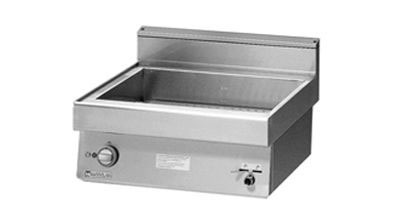 Electric bain-marie, 1 bowl gn1/1 15h. Electric pasta cooker, 1 bowl capacity 20 l. baskets not included. Gas fryer, 1 bowl capacity 8 l.
Gas range, 1 burner, (with pilot burner). 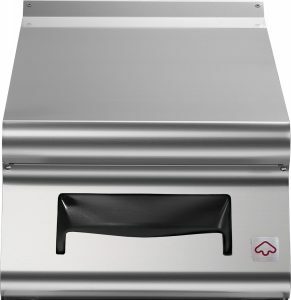 Heated chip dump, container gn1/1. Electric powered fryer, 1 well, 10 lt well capacity. 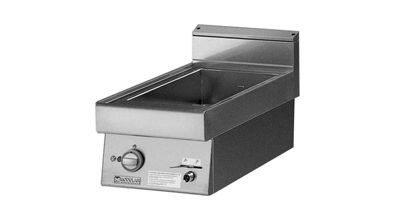 Electric bain-marie, 1 bowl gn2/1 15h. Electric brattpan, bowl capacity 30 l.
Gas range, 4 burners, gas oven. 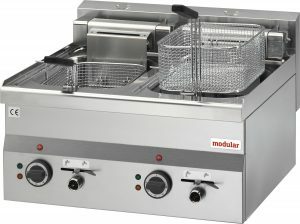 Electric pasta cooker, 1 bowl capacity 40 l.
Gas fryer, 2 bowls capacity 8+8 l.
Sink unit, bowl dim. 50x40x15h cm. 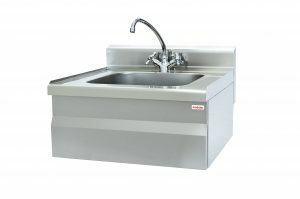 supplied with drain, overflow pipe and water tap. Electric powered fryer, 2 wells, 10+10 lt capacity. 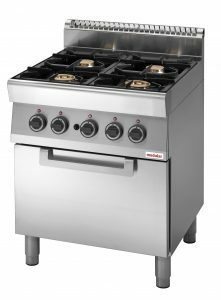 Gas range, 6 burners, gas oven, nutral cabinet. 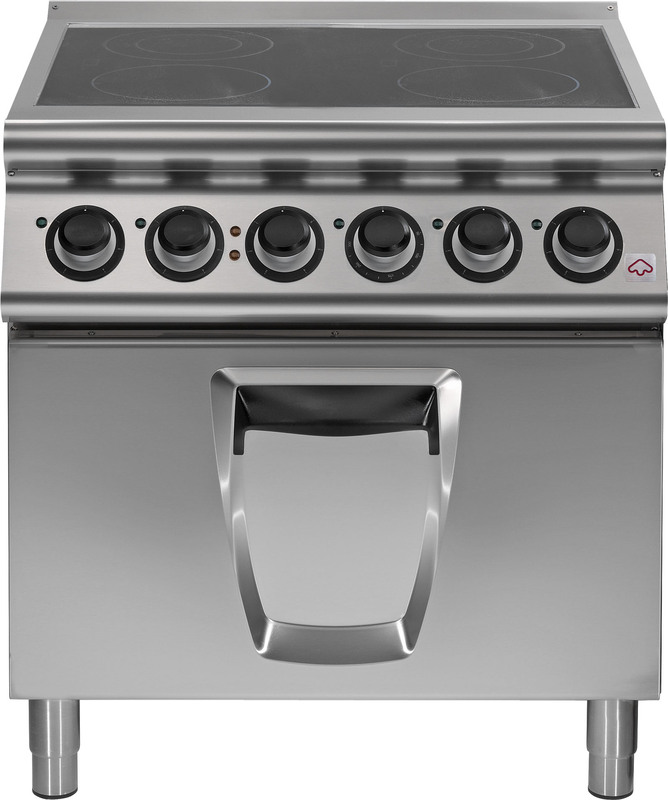 Gas range, 6 burners, gas oven, stainless steel container. Gas range, 6 burners, electric convection oven, stainless steel container. 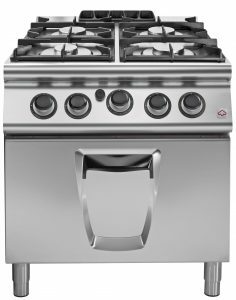 Gas range, 6 burners, opencabinet, stainless steel container. 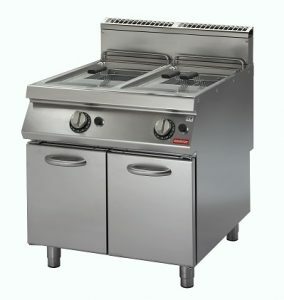 Gas solid top, 2 burners, gas oven, neutral cabinet. 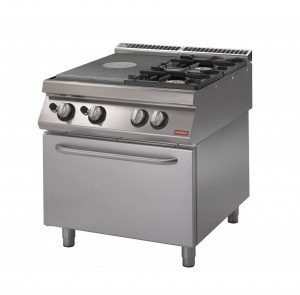 Gas solid top, 2 burners, gas oven. Electric bain-marie, 1 bowl 1/1 gn 15h. 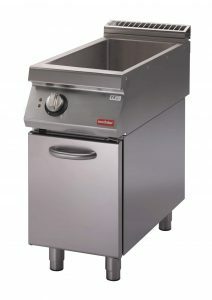 Gas pasta cooker, 1 bowl capacity 40 l.
Electric powered fryer, 1 well 10l capacity, cabinet with doors. Open cabinet. drain hole on the plate. 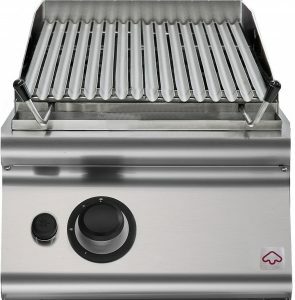 Electric aqua grill. power 6 kw. 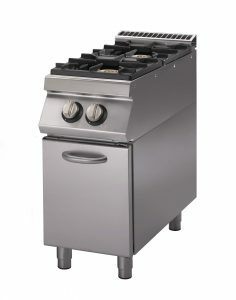 Lava-stone grill, open cabinet (cast-iron grid included). Electric , 2 square plates. 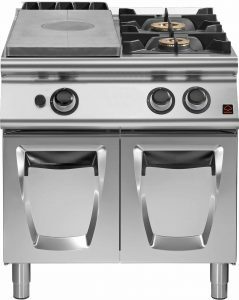 Gas range, 2 burners, opencabinet, stainless steel container. 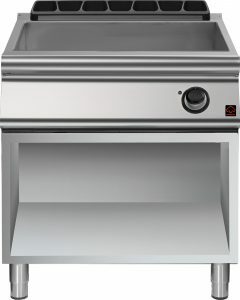 Electric bain-marie, 1 bowl 2/1 gn 15h. 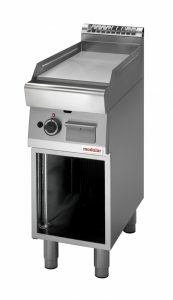 Electric brattpan, capacity 44 lt.
Electric motorized brattpan, capacity 44 lt.
Gas brattpan, capacity 44 lt.
Gas motorized brattpan, capacity 44 lt.
Electric range, 4 square plates, electric convection oven. 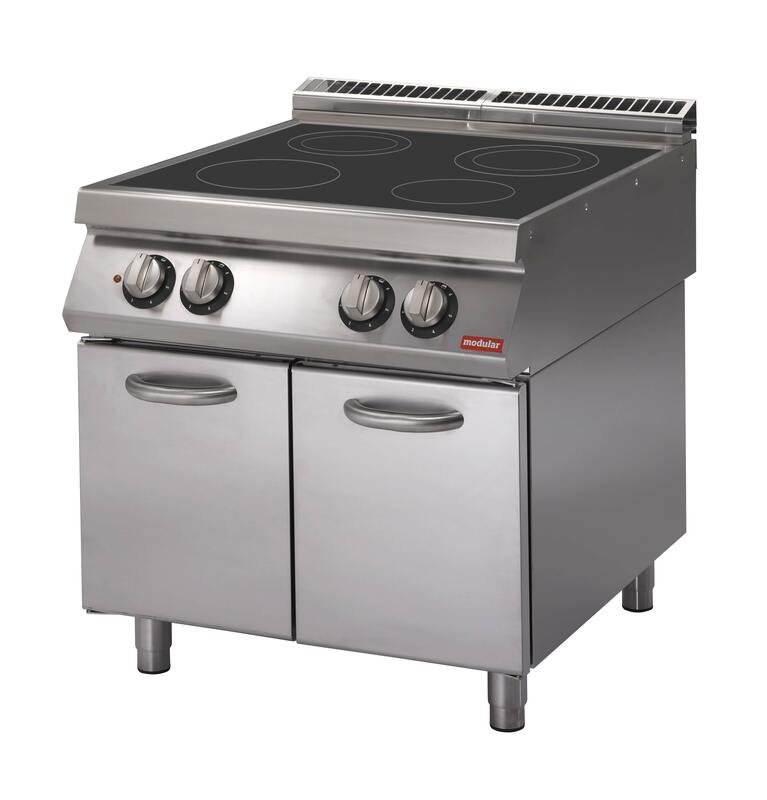 Gas range, 4 burners, gas oven, stainless steel container. Gas range, 4 burners, electric convenction oven, stainless steel container. Electric fryer, 2 bowls, capacity 10+10 l.
Electric aqua grill. power 12 kw. Open cabinet. supplied with drain, overflow pipe, water tap. Electric , 4 square plates. 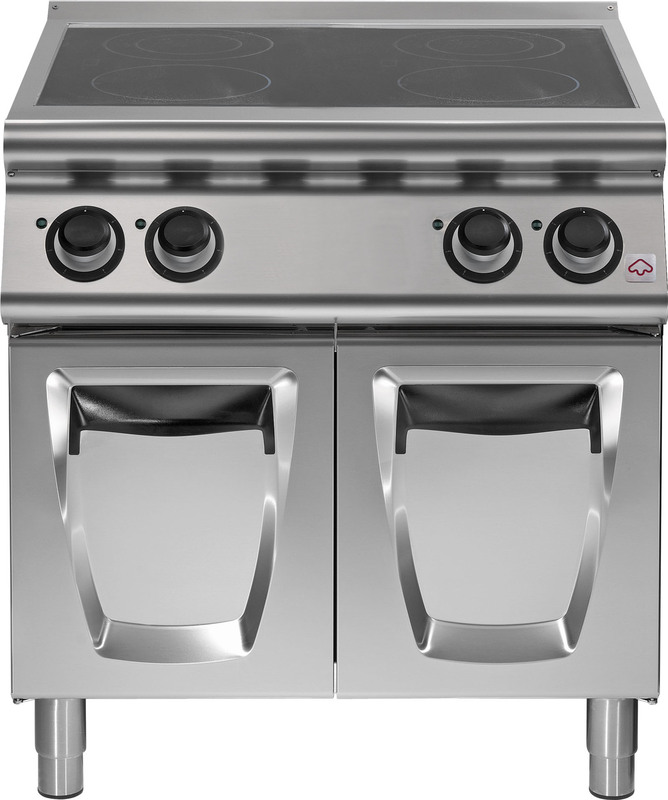 Gas range, 4 burners, opencabinet, stainless steel container. 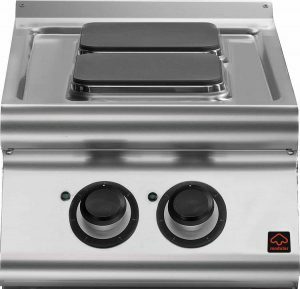 Electric boiling pan, indirect heating, capacity 50 l.
Gas boiling pan, indirect heating, capacity 50 l.
Gas solid top, gas oven. 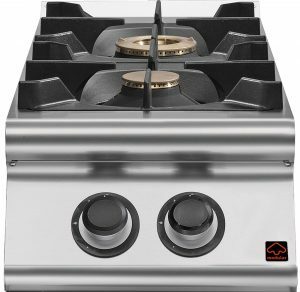 Gas solid top, 2 burners. 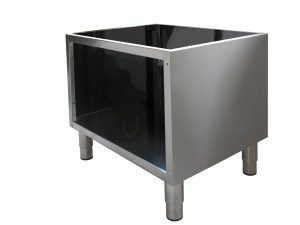 Electric solid top, 4 zones. Electric solid top, 4 zones, electric conection oven. 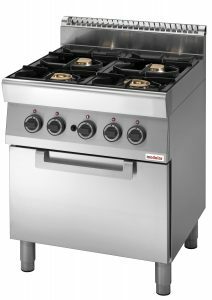 Gas range, 6 burners, gas oven, enamelled containers. 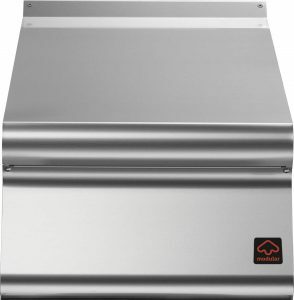 toal power 33,8 kw. Gas range, 6 burners, gas oven, stainless steel oven. total power 33,8 kw. 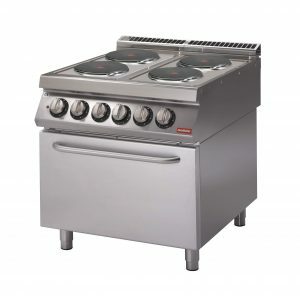 Gas range, 6 burner, large gas oven, enamelled containers. total power 35,8 kw. 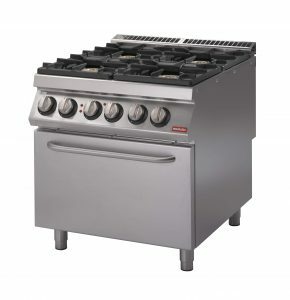 Gas range, 6 burners, large gas oven, stainless steel containers. total power 35,8 kw. 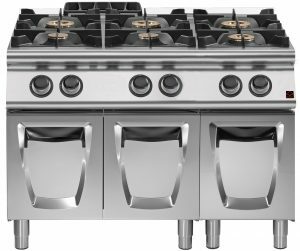 Gas range on open cabinet, 6 burners, enamelled containers. total power 25,8 kw. Gas range on cabinet with doors, 6 burners, enamelled containers. total power 25,8 kw. 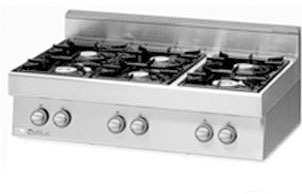 Gas range top version, 6 burners, enamelled containers. total power 25,8 kw. 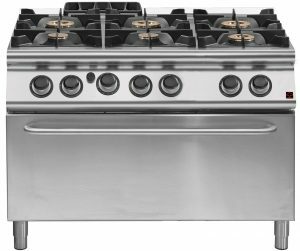 Gas range on open cabinet, 6 burners, stainles steel containers. total power 25,8 kw. 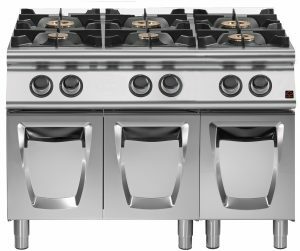 Gas range on cabinet with doors, 6 burners, stainless steel containers. total power 25,8 kw. 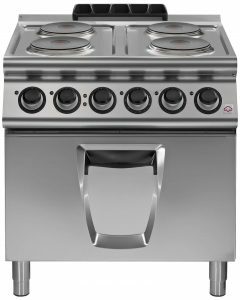 Gas range, top version, 6 burners, stainless steel containers. total power 25,8 kw. Gas solid top on gas oven, 2 burners. total power 26,2 kw. Gas solid top on gas oven, 4 burners. total power 32,4 kw. 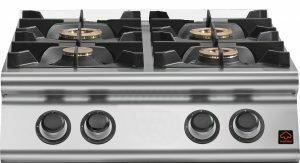 Gas solid top on open cabinet, 4 burners. total power 24,4 kw. 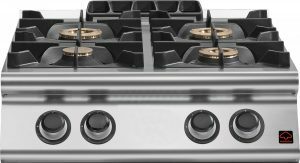 Gas solid top on cabinet with doors, 4 burners. total power 24,4 kw. 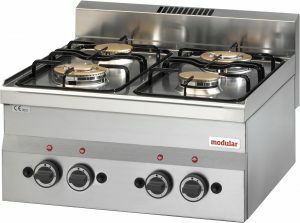 Gas solid top, top version, 4 burners. total power 24,4 kw. 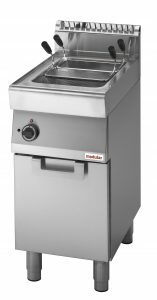 Electric bain marie on open cabinet, 1 container gn 1/1. power 1,5 kw. 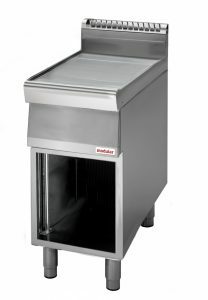 Electric bain marie on cabinet with doors, 1 container gn 1/1. potenza 1,5 kw. 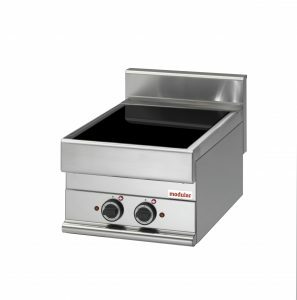 Electric bain marie, 1 container gn 1/1, top version. power 1,5 kw. 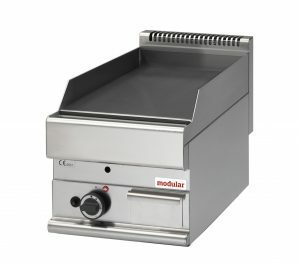 Electric multifunction brattpan on open cabinet, 13 lt capacity. power 4,5 kw. 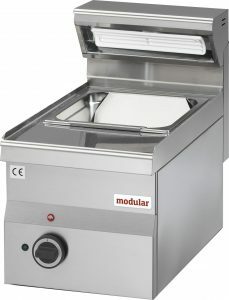 Electric multifunction brattpan on cabinet with door, 13 lt capacity. power 4,5 kw. Gas bain marie on open cabinet, 1 container gn 1/1. power 3 kw. Gas bain marie on cabinet with doors, 1 container gn 1/1. power 3 kw. Gas bain marie, 1 container gn 1/1, top version. power 3 kw. 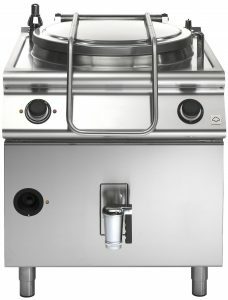 Electric pasta cooker, 26 lt capacity. power 7,6 kw. Gas pasta cooker, 26 lt capacity. power 9,5. 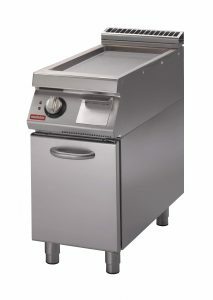 Gas fryer, 17 lt capacity. power 16,5 kw. Gas fryer, 13 lt capacity. power 12 kw. Electric griddle on open cabinet, smooth plate. power 5,4 kw. 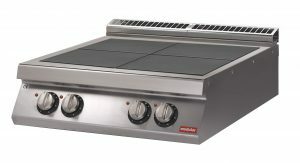 Electric griddle on open cabinet, smooth chromed plate. power 5,4 kw. 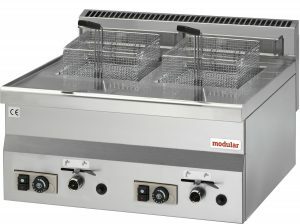 Electric griddle on cabinet with doors, smooth chromed plate. power 5,4 kw. 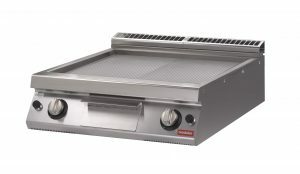 Electric griddle, top version, smooth chromed plate. power 5,4 kw. Electric griddle on cabinet with doors, smooth plate. power 5,4 kw. 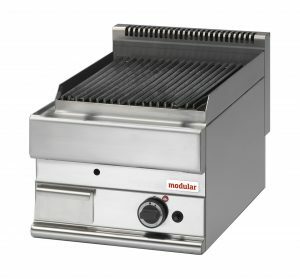 Electric griddle, top version, smooth plate. power 5,4 kw. Gas griddle on open cabinet, smooth plate. power 6 kw. Gas griddle on open cabinet, smooth chromed plate. power 7 kw. Gas griddle on cabinet with doors, smooth chromed plate. power 7 kw. Gas griddle, top version, smooth chromed plate. power 7 kw. Gas griddle on cabinet with doors, smooth plate. power 6 kw. Gas griddle, top versione, smooth plate. power 6 kw. Electric griddle on open cabinet, ribbed plate. power 5,4 kw. Electric griddle on open cabinet, ribbed chromated late. power 5,4 kw. Electric griddle on cabinet with doors, ribbed chromed plate. power 5,4 kw. 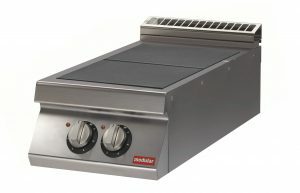 Electric griddle, top version, ribbed chromated plate. power 5,4 kw. 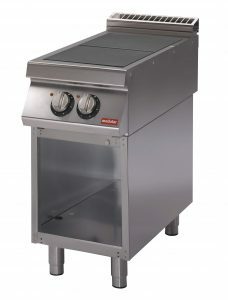 Electric griddle on cabinet with doors, ribbed plate. power 5,4 kw. 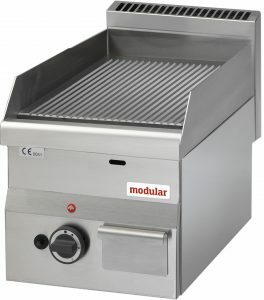 Electric griddle, top version, ribbed plate. power 5,4 kw. Gas griddle on open cabinet, ribbed plate. power 6 kw. 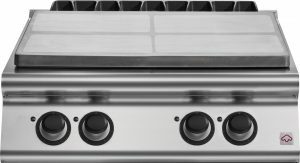 Gas griddle on open cabinet, ribbed chromed plate. power 7 kw. Gas griddle on cabinet with doors, ribbed chromed plate. power 7 kw. 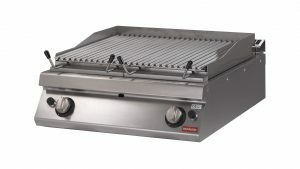 Gas griddle, top version, ribbed chromed plate. power 7 kw. Gas griddle on cabinet with doors, ribbed plate. power 6 kw. 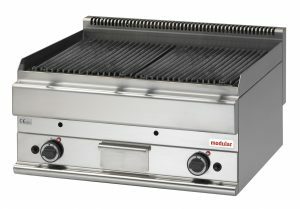 Gas griddle, top version, ribbed plate. power 6 kw. 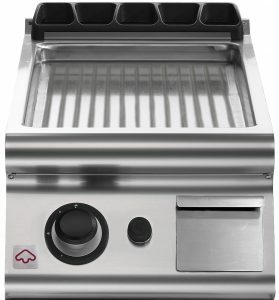 Electric aqua grill, cooking zone in cast iron. power 6 kw. 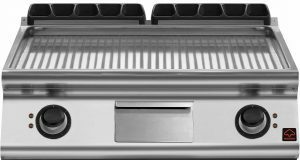 Gas aqua grill, cooking zone in cast iron. power 7,5 kw. Gas lava-stone grill on cabinet with door, cooking zone in stainless steel. power 7,5 kw. 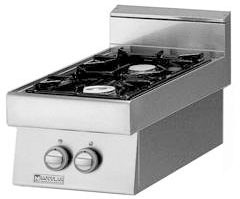 Induction plate on open cabinet, 2 zone di cottura. 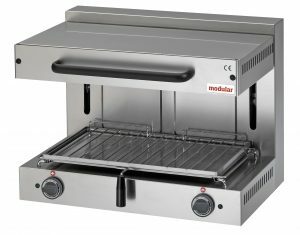 potenza totale 7 kw. Induction plate on cabinet with door, 2 cooking zones. total power 7 kw. 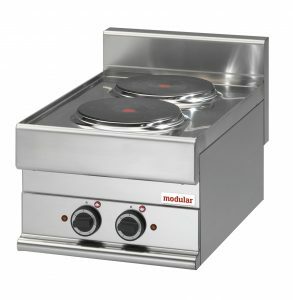 Induction plate, top version, 2 cooking zones. total power 7 kw. 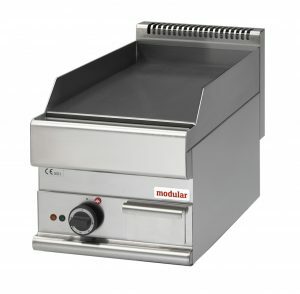 Induction wok on open cabinet. power 5 kw. 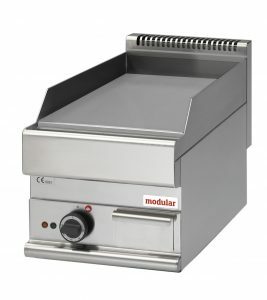 Induction wok on cabinet with doors. power 5 kw. Induction wok, top version. power 5 kw. 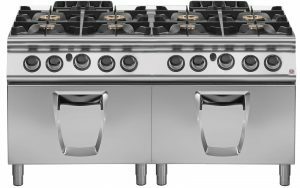 Electric range on open cabinet, 2 round plates. total power 5,6 kw. Electric range on cabinet with door, 2 round plates. total power 5,2 kw. Elecrtic range, 2 round plates, top version. total power 5,2 kw. 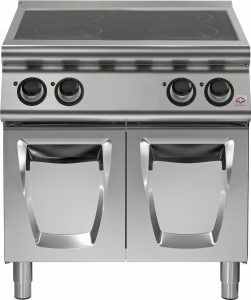 Electric range on open cabinet, 2 square plates. total power 5,2 kw. Electric range on cabinet with doors, 2 square plates. total power 5,2 kw. 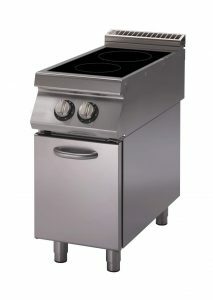 Electric range, top version, 2 square plates. total power 5,2 kw. Gas range on open cabinet, 2 burners, enamelled containers. total power 9,2 kw. 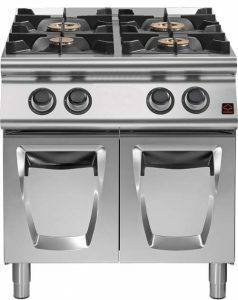 Gas range on cabinet with door, 2 burners, enamelled containers. total power 9,2 kw. 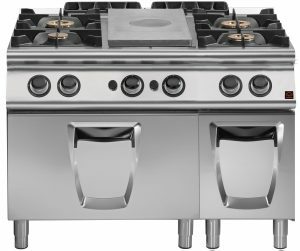 Gas range on open cabinet, 2 burners, stainless steel containers. total power 9,2 kw. 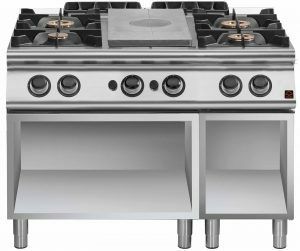 Gas range on cabinet with door, 2 burners, stainlees steel container. total power 9,2 kw. 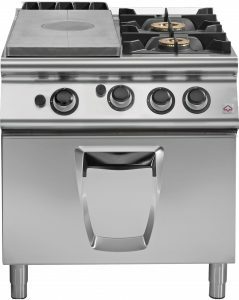 Gas range, top version, 2 burners, stainless steel containers. total power 9,2 kw. Ceramic-glass plate, top version, 2 cooking zones. Electric heated chip dumps on open cabinet. power 1 kw. 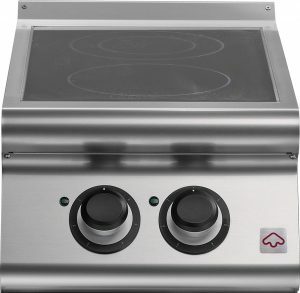 Electric heated chip dumps on cabinet with doors. power 1 kw. Electric heated chip dumps, versione top. power 1 kw. Electric bain marie on open cabinet, 2 containers gn 1/1. power 3 kw. 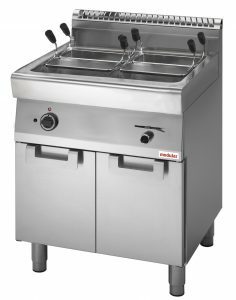 Electric bain marie on cabinet with doors, 2 containers gn 1/1. power 3 kw. 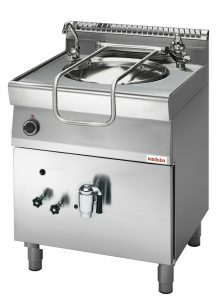 Electric bain marie, 2 containers gn 1/1, top version. power 3 kw. 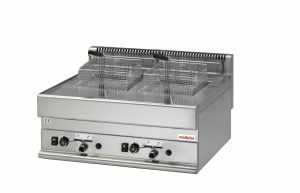 Electric multifunction brattpan on open cabinet, 26 lt capacity. power 9 kw. Electric multifunction brattpan on cabinet with doors, 26 lt capacity. power 9 kw. 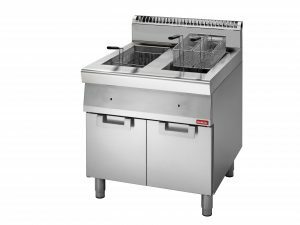 Gas bain marie on open cabinet, 2 containers gn 1/1. power 6 kw. Gas bain marie on cabinet with doors, 2 containers gn 1/1. power 6 kw. 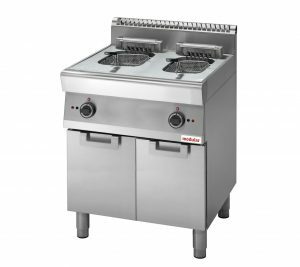 Gas bain marie, 2 containers gn 1/1, top version. power 6 kw. Electric tilting brattpan, 60 lt capacity, iron well. power 10 kw. 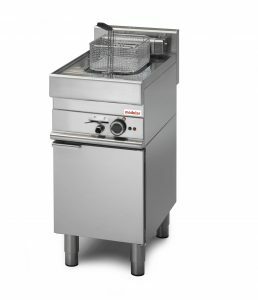 Electric tilting brattpan, 60 lt capacity, iron well, motorized. power 10 kw. Electric tilting brattpan, 60 lt capacity, stainless steel well. power 10 kw. 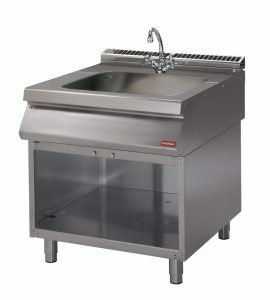 Electric tilting brattpan, 60 lt capacity, stainless steel well, motorized. power 10 kw. Gas tilting brattpan, 60 lt capacity, iron well. power 14 kw. Gas tilting brattpan, 60 lt capacity, iron well, motorized. power 14 kw. 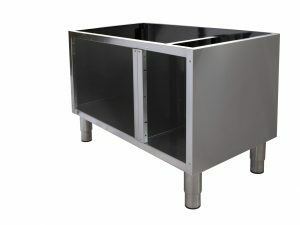 Gas tilting brattpan, 60 lt capacity, stainless steel well. power 14 kw. Gas tilting brattpan, 60 lt capacity, stainless steel well, motorized. power 14 kw. 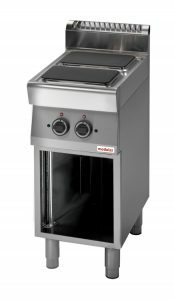 Electric range onelectric oven, 4 round plates. total power 16,4 kw. 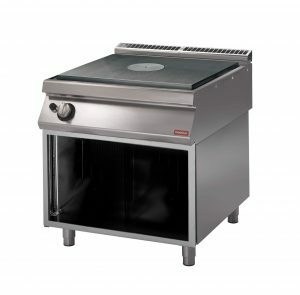 Electric range onelectric oven, 4 square plates. total power 16,4 kw. Gas range, 4 burners, gas oven, stainless steel containers. total power 25,8 kw. Electric pasta cooker, 26+26 lt capacity. power 15,2 kw. 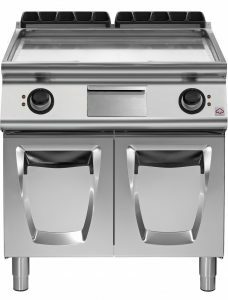 Gas pasta cooker, 26+26 lt capacity. power 19 kw. 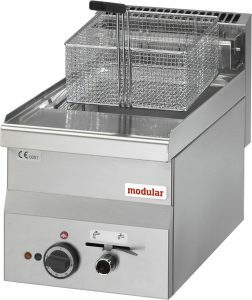 Electric fryer, 2 wells, 10+10 l capacity. 18 kw power. 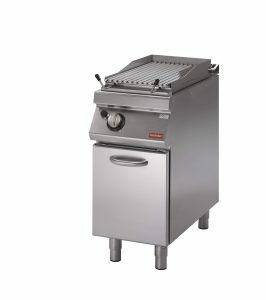 Gas fryer, 13+13 lt capacity. power 24 kw. Electric griddle on open cabinet, smooth plate. power 10,8 kw. 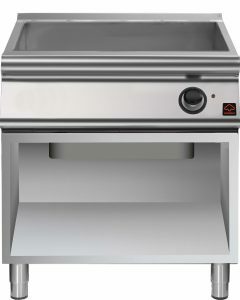 Electric griddle on open cabinet, smooth chromed plate. power 10,8 kw. 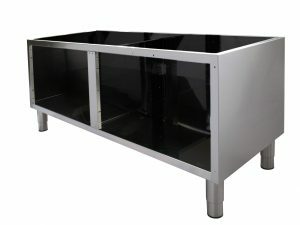 Electric griddle on cabinet with doors, smooth chromed plate. power 10,8 kw. 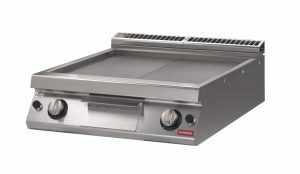 Electric griddle, top version, smooth chromed plate. power 10,8 kw. Electric griddle on cabinet with doors, smooth plate. power 10,8 kw. 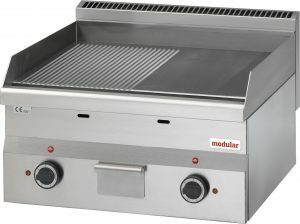 Electric griddle, top version, smooth plate. power 10,8 kw. Gas griddle on open cabinet, smooth plate. power 12 kw. 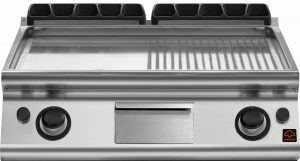 Gas griddle on open cabinet, smooth chromed plate. power 14 kw. Gas griddle on cabinet with doors, smooth chromed plate. power 14 kw. Gas griddle, top version, smooth chromed plate. power 14 kw. Gas griddle on cabinet with doors, smooth plate. power 12 kw. Gas griddle, top version, smooth plate. power 12 kw. 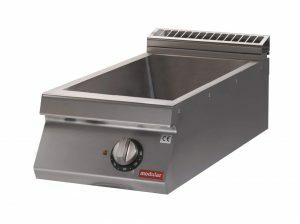 Electric griddle on open cabinet, 1/2 smooth 1/2 ribbed. power 10,8 kw. Electric griddle on open cabinet, 1/2 smooth 1/2 ribbed chromed plate. power 10,8 kw. Electric griddle on cabinet with doors, 1/2 smooth 1/2 ribbed chromed. power 10,8 kw. Electric griddle, top version, 1/2 smooth 1/2 ribbed chromed plate. power 10,8 kw. 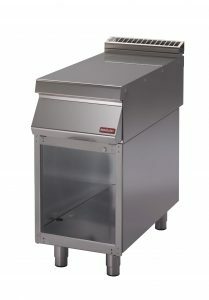 Electric griddle on cabinet with doors, 1/2 smooth 1/2 ribbed plate. power 10,8 kw. 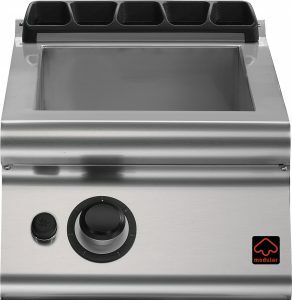 Electric griddle, top version, 1/2 smooth 1/2 ribbed plate. power 10,8 kw. Gas griddle on open cabinet, 1/2 smooth 1/2 ribbed plate. power 12 kw. 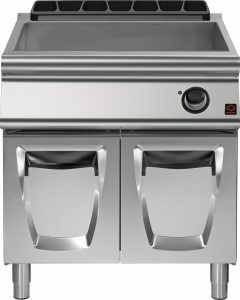 Gas griddle on open cabinet, 1/2 smooth 1/2 ribbed chromed plate. power 14 kw. 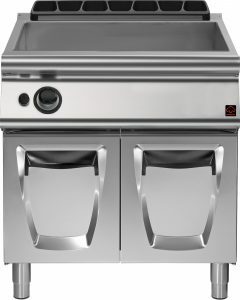 Gas griddle on cabinet with doors, 1/2 smooth 1/2 ribbed chromed plate. power 14 kw. 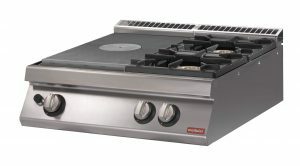 Gas griddle, top version, 1/2 smooth 1/2 ribbed chromed plate. power 14 kw. 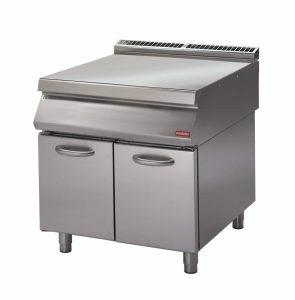 Gas griddle on cabinet with doors, 1/2 smooth 1/2 ribbed plate. power 12 kw. Gas griddle, top version, 1/2 smooth 1/2 ribbed plate. power 12 kw. Electric griddle on open cabinet, ribbed plate. power 10,8 kw. 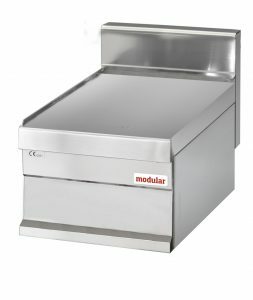 Electric griddle on open cabinet, ribbed chromed plate. power 10,8 kw. Electric griddle on cabinet with doors, ribbed chromated plate. power 10,8 kw. Electric griddle, top version, ribbed chromed plate. power 10,8 kw. 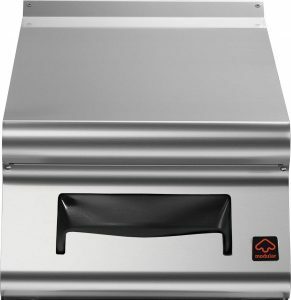 Electric griddle on cabinet with doors, ribbed plate. power 10,8 kw. Electric griddle, top version, ribbed plate. power 10,8 kw. 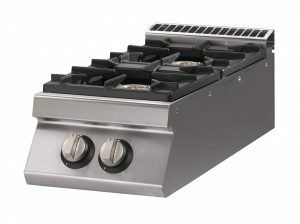 Gas griddle on open cabinet, ribbed plate. power 12 kw. 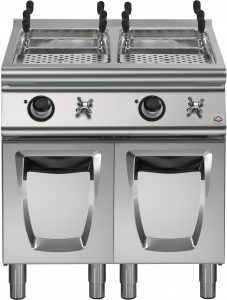 Gas griddle on open cabinet, ribbed chromed plate. power 14 kw. Gas griddle on cabinet with doors, ribbed chromed plate. power 14 kw. 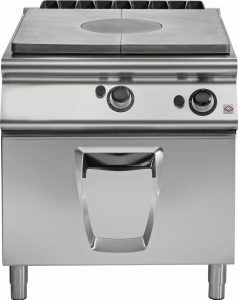 Gas griddle, top version, ribbed chromed plate. power 14 kw. Gas griddle on cabinet with doors, ribbed plate. power 12 kw. 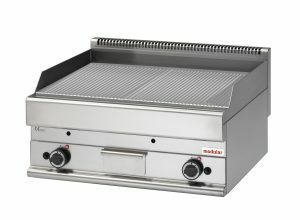 Gas griddle, top version, ribbed plate. power 12 kw. 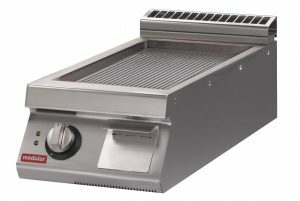 Electric aqua grill, cooking zone in cast iron. power 12 kw. Gas aqua grill, cooking zone in cast iron. power 15 kw. Gas lava-stone grill on cabinet with doors, cooking zone in stainless steel. power 15 kw. 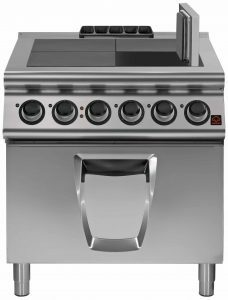 Gas lava-stone grill , top version, cooking zone in stainless steel. power 15 kw. 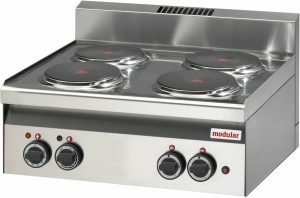 Induction plate on open cabinet, 4 cooking zones. total power 14 kw. 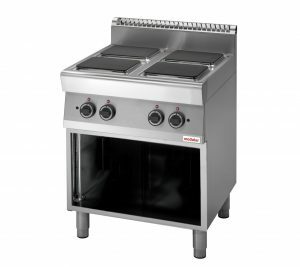 Induction plate on cabinet with doors, 4 cooking zones. total power 14 kw. 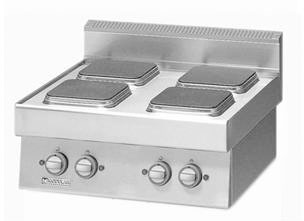 Induction plate, top version, 4 cooking zones. total power 14 kw. 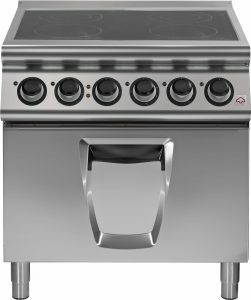 Electric range on open cabinet, 4 round plates. total power 10,4 kw. 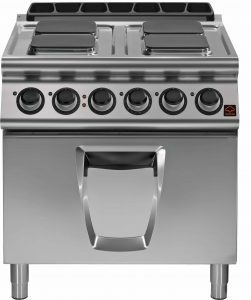 Electric range on cabinet with doors, 4 round plates. total power 10,4 kw. 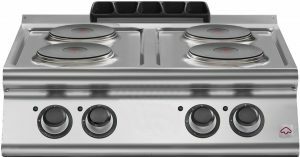 Electric range, top version, 4 round plates. total power 10,4 kw. Electric range on open cabinet, 4 square plates. total power 10,4 kw. Electric power on cabinet with doors, 4 square plates. total power 10,4 kw. Electric range, top version, 4 square plates. total power 10,4 kw. 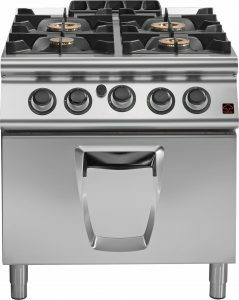 Gas range on open cabinet, 4 burners, enamelled containers. total power 18,4 kw. Gas range on cabinet with doors, 4 burners, enamelled containers. total power 18,4 kw. Gas range, top version, 4 burners, enamelled containers. total power 18,4 kw. Gas range on open cabinet, 4 burners, stainless steel containers. total powe 18,4 kw. 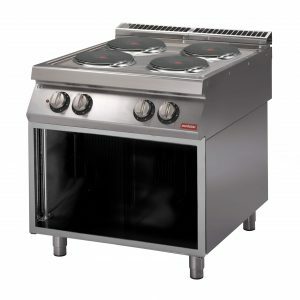 Gas range on cabinet with doors, 4 burners, stainless steel containers. total power 18,4 kw. Gas range, top version, 4 burners, stainless steel containers. total power 18,4 kw. 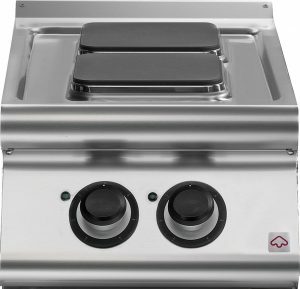 Gas boiling pan, direct heating, 50 lt capacity. power 12,3 kw. 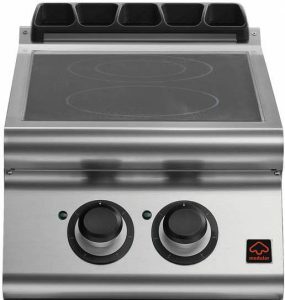 Gas boiling pan, direct heating, 50 lt capacity. power 10,5 kw. 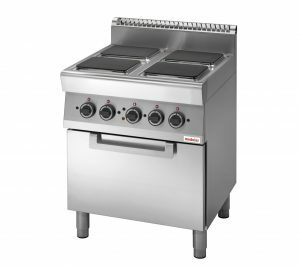 Electric solid tops on open cabinet, 4 cooking zones. total power 10 kw. 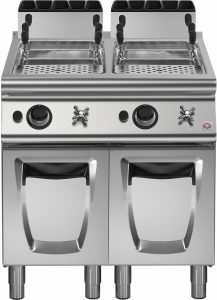 Electric solid tops on cabinet with doors, 4 cooking zones. total power 10 kw. 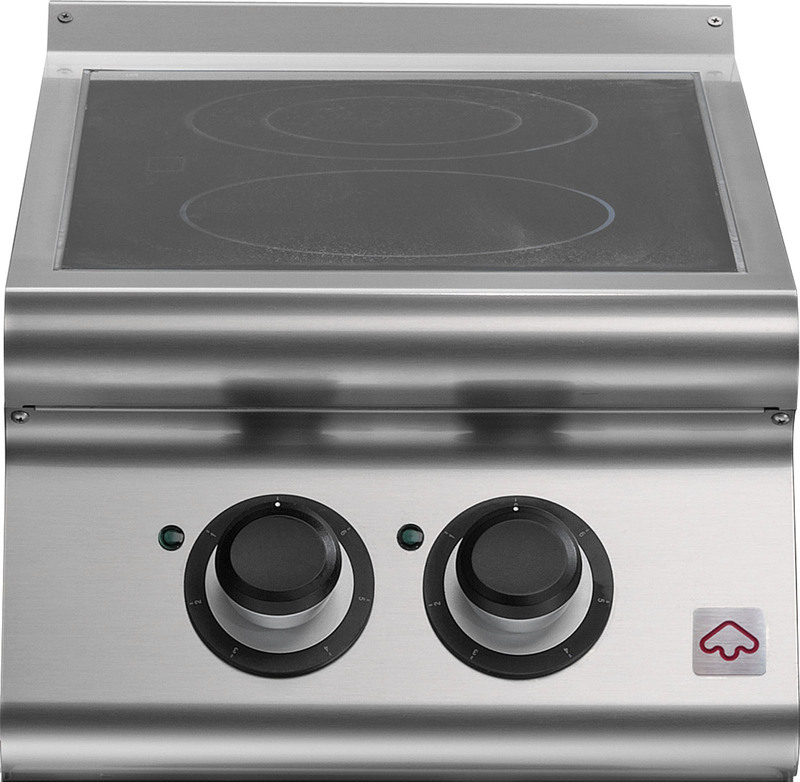 Electric solid tops, top version, 4 cooking zones. total power 10 kw. Electric solid tops onelectric oven, 4 cooking zones. total power 16 kw. Gas solid top on gas oven. total power 17 kw. Gas solid top on open cabinet. power 9 kw. Gas solid top on cabinet with doors. power 9 kw. 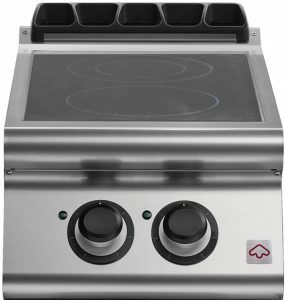 Gas solid top, top version. power 9 kw. Gas solid top on gas oven, 2 burners. total power 23,2 kw. 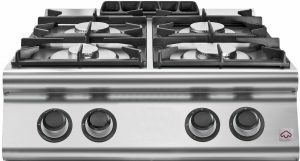 Gas solid top on open cabinet, 2 burners. total power 15,2. 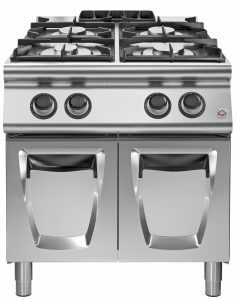 Gas solid top on cabinet with doors, 2 burners. total power 15,2 kw. 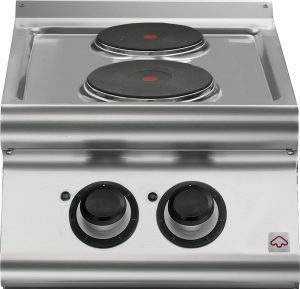 Gas solid top, top version, 2 burners. total power 15,2 kw. Electric tilting brattpan, 120 lt capacity, iron well. power 19 kw. Electric tilting brattpan, 120 lt capacity, iron well, motorized. power 19 kw. 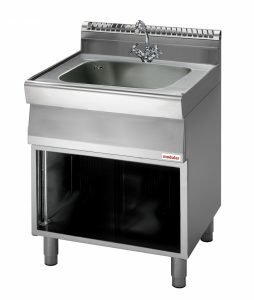 Electric tilting brattpan, 120 lt capacity, stainless steel well. power 19 kw. Electric tilting brattpan, 120 lt capacity, stainless steel well, motorized. power 19 kw. 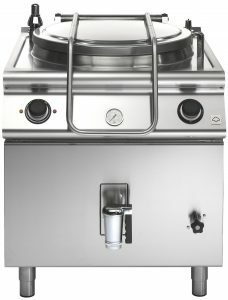 Gas tilting brattpan, 120 lt capacity, iron well. power 24 kw. Gas tilting brattpan, 120 lt capacity, iron well, motorized. power 24 kw. 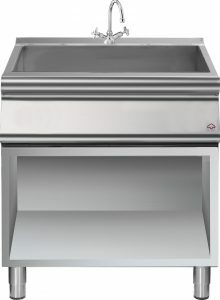 Gas tilting brattpan, 120 lt capacity, stainless stell well. power 24 kw. 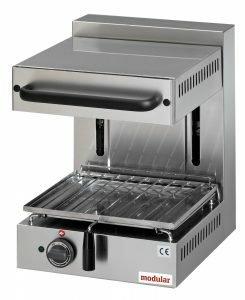 Gas tilting brattpan, 120 lt capacity, stainless stell well, motorized. power 24 kw. 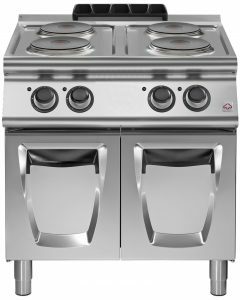 Gas range, 6 burners, gas oven, enamelled containers. total gas power 45 kw. 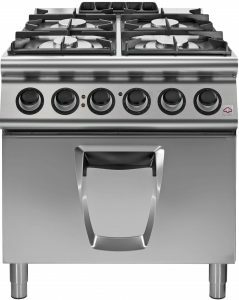 Gas range, 6 burners, gas oven, stainless steel containers. total gas power 45 kw. 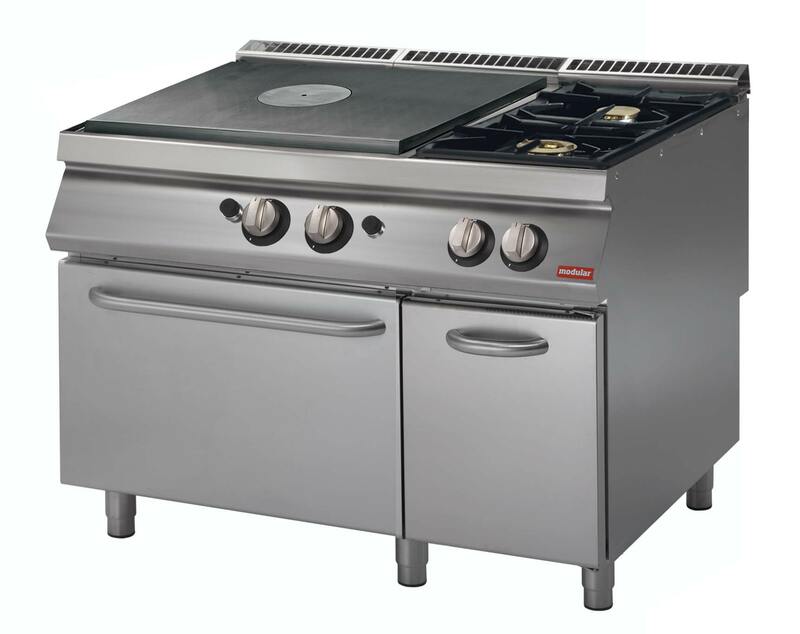 Gas range, 6 burners, large gas oven, enamelled containers. total gas power 49 kw. 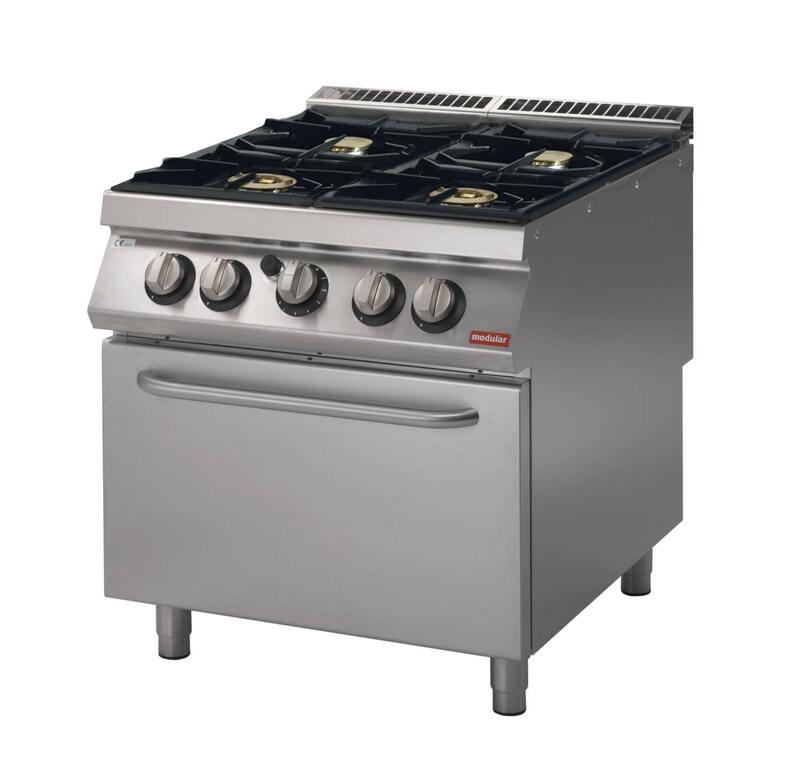 Gas range, 6 burners, large gas oven, stainless steel container. total gas power 49 kw. Gas range on open cabinet, 6 burners, enamelled containers. total gas power 37 kw. 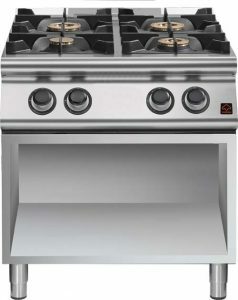 Gas range on cabinet with doors, 6 burners, enamelled containers. total gas power 37 kw. 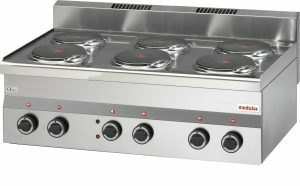 Gas range top version, 6 burners, enamelled containers. total gas power 37 kw. 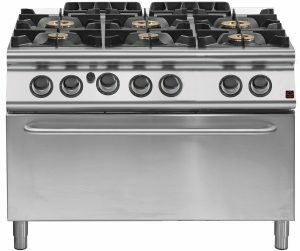 Gas range on open cabinet, 6 burners, stainless steel containers. total gas power 37 kw. 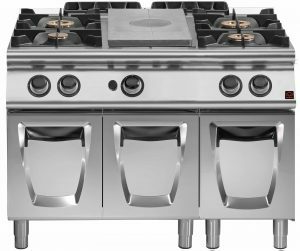 Gas range on cabinet with doors, 6 burners, stainless steel containers. total gas power 37 kw. Gas range top version, 6 burners, stainless steel containers. total gas power 37 kw. 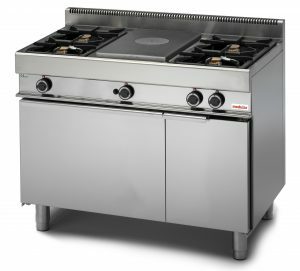 Gas solid top + 2 burners on gas oven. total gas power 33 kw. 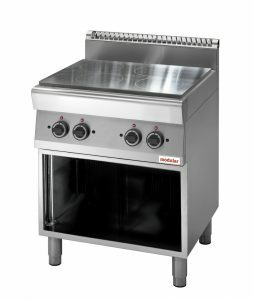 Tuttapiastra gas + 4 fuochi su forno a gas. potenza totale 41 kw. Gas solid top + 4 burners on open cabinet. total gas power 33 kw. 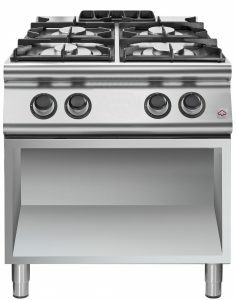 Gas solid top + 4 burners on open cabinet with doors. total gas power 33 kw. 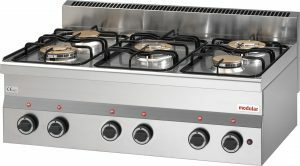 Gas solid top + 4 burners, top version. total gas power 33 kw. 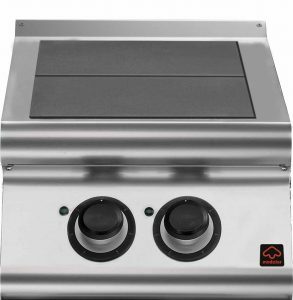 Electric bain marie on open cabinet, 1 container gn 1/1+1/3. power 2,2 kw. 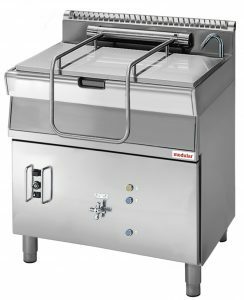 Electric bain marie on cabinet with door, 1 container gn 1/1+1/3. power 2,2 kw. 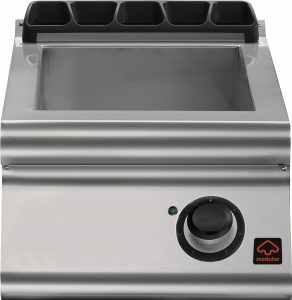 Electric bain marie, 1 container gn 1/1+1/3, top version. power 2,2 kw. 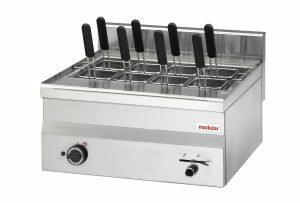 Electric multifunction brattpan on open cabinet. 13 lt capacity. power 4,5 kw. Electric multifunction brattpan on on cabinet with door, 13 lt capacity. power 4,5 kw. Gas bain marie on open cabinet, 1 container gn 1/1+1/3. power 3 kw. 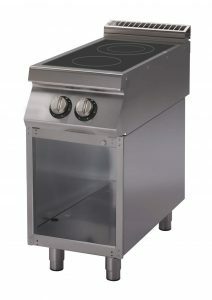 Gas bain marie on cabinet with door, 1 container gn 1/1+1/3. power 3 kw. 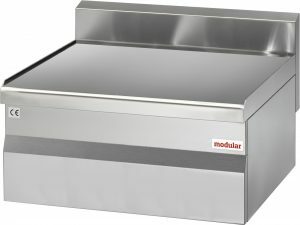 Gas bain marie, 1 container gn 1/1+1/3, top version. power 3 kw. Electric pasta cooker, 1 well, capacity 40 l. total power 9 kw. Gas pasta cooker, 1 well, capacity 40 l. total power 11,8 kw. Gas fryer, 1 well, 13 l capacity. total gas power 12 kw. Gas fryer, 1 well, 22 l capacity. total gas power 20 kw. 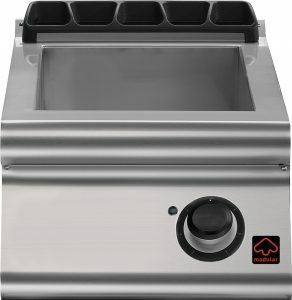 Electric griddle, smooth plate on open cabinet. total power 7,5 kw. 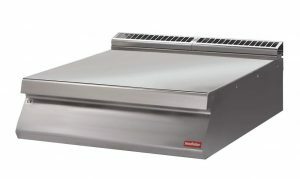 Electric griddle, smooth chromed plate on open cabinet. total power 7,5 kw. 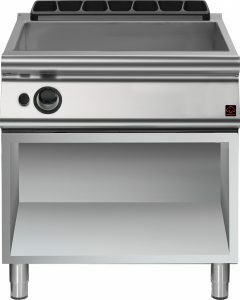 Electric griddle, smooth chromed plate on cabinet with door. total power 7,5 kw. Electric griddle, smooth chromed plate, top version. total power 7,5 kw. 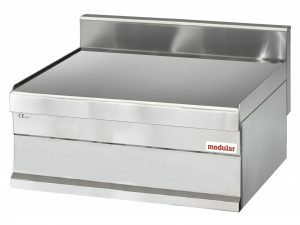 Electric griddle, smooth plate on cabinet with door. total power 7,5 kw. 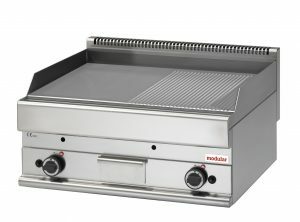 Electric griddle, smooth plate, top version. total power 7,5 kw. 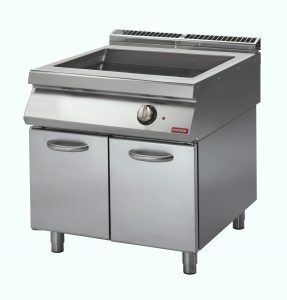 Gas griddle, smooth plate on open cabinet. total power 7 kw. 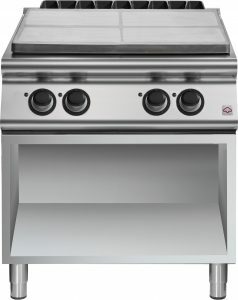 Gas griddle, smooth chromed plate on open cabinet. total power 10,5 kw. Gas griddle, smooth chromed plate on cabinet with door. total power 10,5 kw. Gas griddle, smooth chromed plate, top version. total power 10,5 kw. Gas griddle, smooth plate on cabinet with door. total power 7 kw. Gas griddle, smooth plate, top version. total power 7 kw. 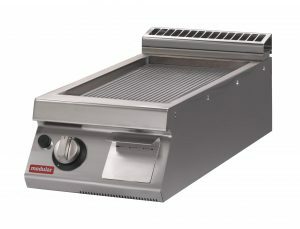 Electric griddle, ribbed plate, on open cabinet. total power 7,5 kw. 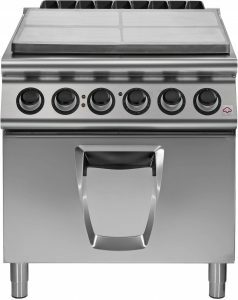 Electric griddle, ribbed chromed plate on open cabinet. total power 7,5 kw. 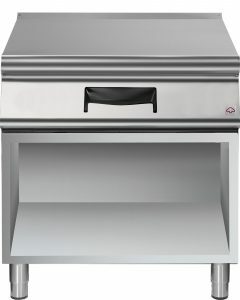 Electric griddle, ribbed chromed plate on cabinet with door. total power 7,5 kw. 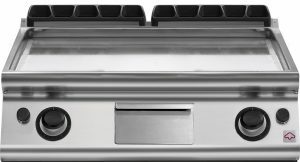 Electric griddle, ribbed chromed plate, top version. total power 7,5 kw. 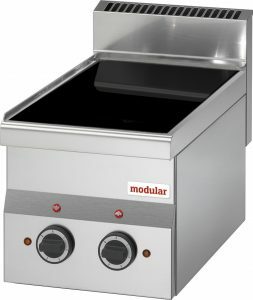 Electric griddle, ribbed plate on cabinet with door. total power 7,5 kw. 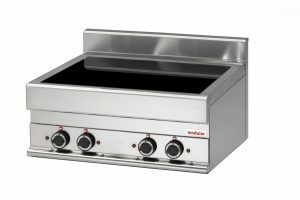 Electric griddle, ribbed plate, top version. total power 7,5 kw. 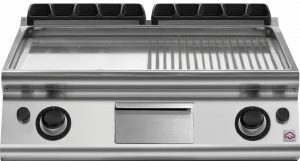 Gas griddle, ribbed plate on open cabinet. total power 7 kw. 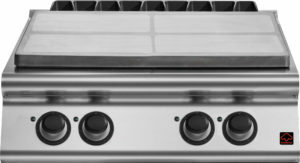 Gas griddle, ribbed chromed plate on open cabinet. total power 10,5 kw. 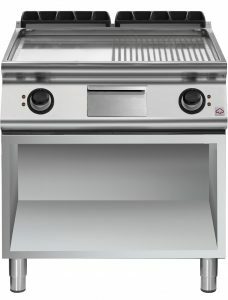 Gas griddle, ribbed chromed plate on open cabinet with door. total power 10,5 kw. 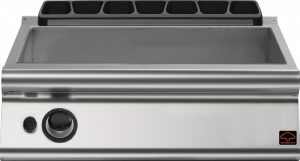 Gas griddle, ribbed chromed plate, top version. total power 10,5 kw. Gas griddle, ribbed plate on cabinet with door. total power 7 kw. Gas griddle, ribbed plate, top version. total power 7 kw. 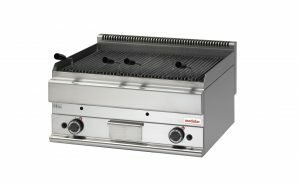 Electric aqua grill, cooking zones in cast iron. power 7,5 kw. Electric aqua grill, cooking zones in cast iron. power 11 kw. Gas lava-stone grill on cabinet with door, cooking zone in stainless steel. power 9,5 kw. 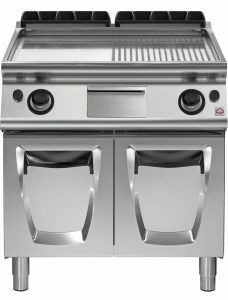 Gas lava-stone grill , top version, cooking zone in stainless steel. power 9,5 kw. Induction plate on open cabinet. power 10 kw. Induction plate on cabinet with door. power 10 kw. Induction plate, top version. power 10 kw. Induction wok on cabinet with door. power 5 kw. Electric range, 2 tilting heating plates, on open cabinet. total power 8 kw. Electric range, 2 tilting heating plates, on cabinet with door. total power 8 kw. Electric range, 2 tilting heating plates, top version. total power 8 kw. Electric range, 2 square plates, on open cabinet. total power 7 kw. 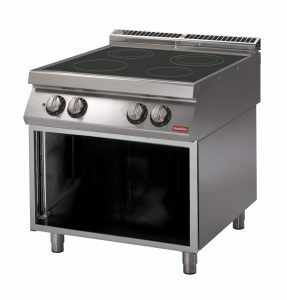 Electric range, 2 square plates, on cabinet with doors. total power 7 kw. 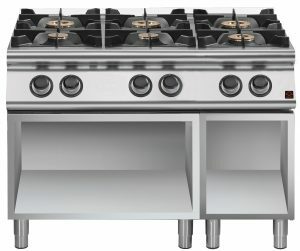 Electric range, 2 square plates, top version. total power 7 kw. 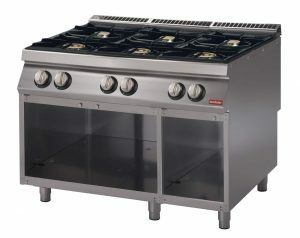 Gas range on cabinet with door, 2 burners, enamelled containers. total gas power 13 kw. 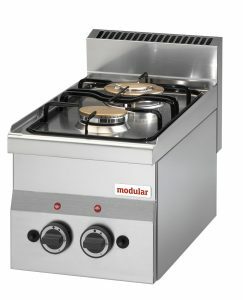 Gas range top version, 2 burners, enamelled containers. total gas power 13 kw. 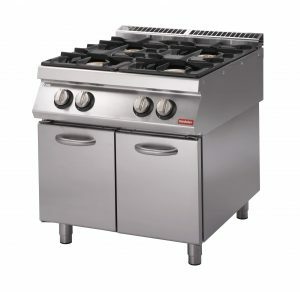 Gas range on open cabinet, 2 burners, stainless steel containers. total gas power 13 kw. 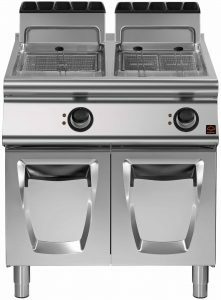 Gas range on cabinet with door, 2 burners, stainless steel containers. total gas power 13 kw. 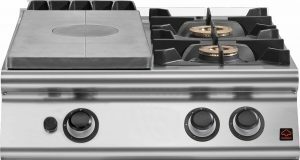 Gas range top version, 2 burners, stainless steel containers. total gas power 13 kw. Ceramic-glass plate, top version. total power 6,8 kw. Electric heated chip dump on open cabinet. power 1 kw. Electric heated chip dump on cabinet with door. power 1 kw. Electric heated chip dump, top version. power 1 kw. Electric bain marie on open cabinet, 2 containers gn 1/1+2 containers gn 1/3. power 4,4 kw. 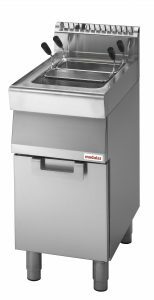 Electric bain marie on cabinet with doors, 2 containers gn 1/1+2 containers gn 1/3. power 4,4 kw. 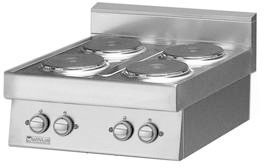 Electric bain marie, 2 containers gn 1/1+2 containers gn 1/3, top version. power 4,4 kw. 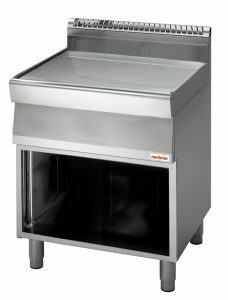 Electric multifunction on cabinet with doors, 26 lt capacity. power 9 kw. 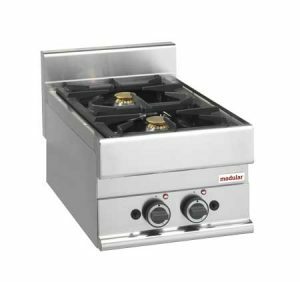 Gas bain marie on open cabinet, 2 containers gn 1/1+2 containers gn 1/3. power 6 kw. 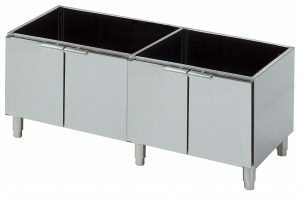 Gas bain marie on cabinet with doors, 2 containers gn 1/1+2 containers gn 1/3. power 6 kw. 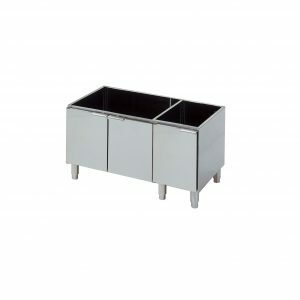 Gas bain marie, 2 containers gn 1/1+2 containers gn 1/3, top version. power 6 kw. Electric tilting brattpan, capacity 80 l, iron well. total power 15 kw. Electric tilting brattpan, capacity 80 l, iron well motorized. total power 15 kw. 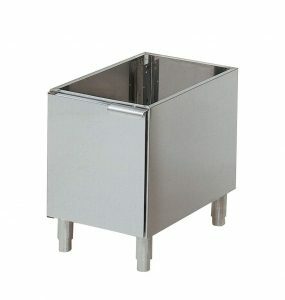 Electric tilting brattpan, capacity 80 l, stainless steel well. total power 15 kw. 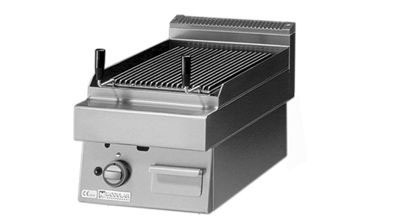 Electric tilting brattpan, capacity 80 l, stainless steel well, motorized. total power 15 kw. Gas tilting brattpan, capacity 80 l, iron well. total power 20 kw. Gas tilting brattpan, capacity 80 l, iron well, motorized. total power 20 kw. Gas tilting brattpan, capacity 80 l, stainless steel well. total power 20 kw. Gas tilting brattpan, capacity 80 l, stainless steel well, motorized. total power 20 kw. Electric range, 4 square plates, onelectric oven. total power 20 kw. Electric range, 4 square plates, onelectric convection oven. total power 20 kw. 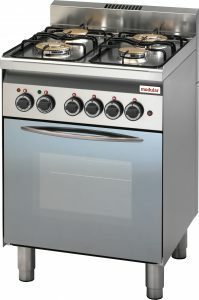 Gas range, 4 burners, gas oven, enamelled containers. total gas power 34kw. Gas range, 4 burners, gas oven, stainless steel containers. total gas power 34 kw. 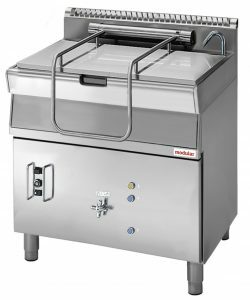 Electric pasta cooker, 2 wells, capacity 40+40 l. total power 18 kw. 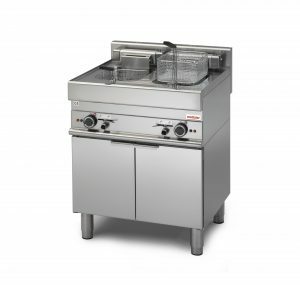 Gas pasta cooker, 2 wells, capacity 40+40 l. total power 23,6 kw. Gas fryer, 2 wells, 13+13 l capacity. total gas power 24 kw. Gas fryer, 2 wells, 22+22 l capacity. total gas power 40 kw. Electric griddle, smooth plate on open cabinet. total power 15 kw. 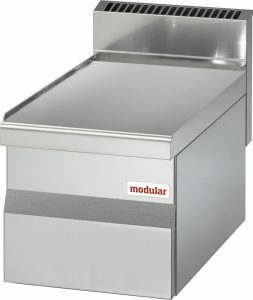 Electric griddle, smooth chromed plate on open cabinet. total power 15 kw. 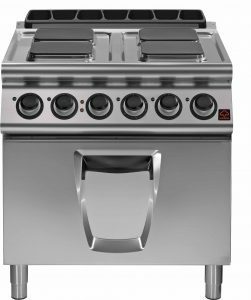 Electric griddle, smooth chromed plate on cabinet with doors. total power 15 kw. 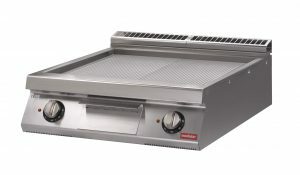 Electric griddle, smooth chromed plate, top version. total power 15 kw. 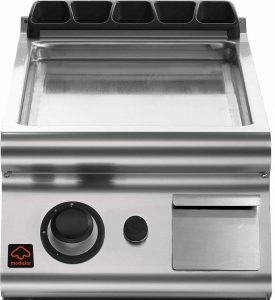 Electric griddle, smooth plate on cabinet with doors. total power 15 kw. 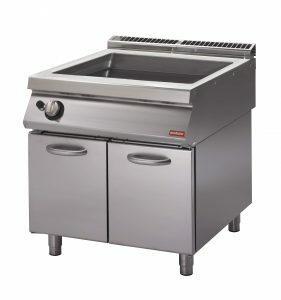 Gas griddle, smooth plate on open cabinet. total power 14 kw. 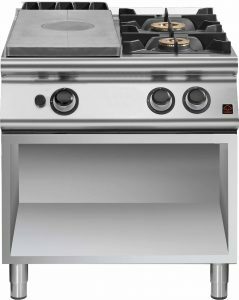 Gas griddle, smooth chromed plate on open cabinet. total power 21 kw. 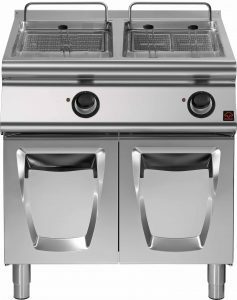 Gas griddle, smooth chromed plate on open cabinet with doors. total power 21 kw. 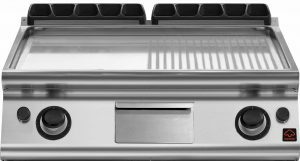 Gas griddle, smooth chromed plate, top version. total power 21 kw. Gas griddle, smooth plate on cabinet with doors. total power 14 kw. Gas griddle, smooth plate, top version. total power 14 kw. Electric griddle, 1/2 smooth 1/2 ribbed plate on open cabinet. total power 15 kw. 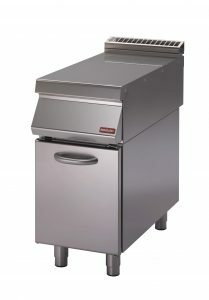 Electric griddle, 1/2 smooth 1/2 ribbed chromed plate on open cabinet. total power 15 kw. 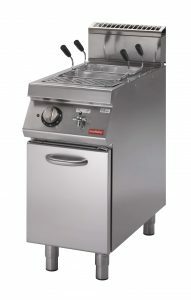 Electric griddle, 1/2 smooth 1/2 ribbed chromed plate on cabinet with doors. total power 15 kw. Electric griddle, 1/2 smooth 1/2 ribbed chromed plate, top version. total power 15 kw. 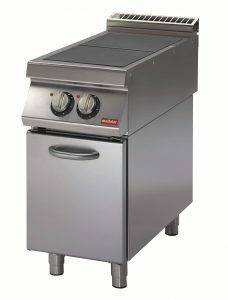 Electric griddle, 1/2 smooth 1/2 ribbed plate on cabinet with doors. total power 15 kw. Electric griddle, 1/2 smooth 1/2 ribbed plate, top version. total power 15 kw. 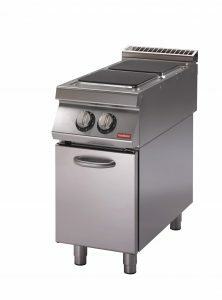 Gas griddle, 1/2 smooth 1/2 ribbed plate on open cabinet. total power 14 kw. Gas griddle, 1/2 smooth 1/2 ribbed chromed plate on open cabinet. total power 21 kw. Gas griddle, 1/2 smooth 1/2 ribbed chromed plate, top version. total power 21 kw. Gas griddle, 1/2 smooth 1/2 ribbed plate on cabinet with doors. total power 14 kw. Gas griddle, 1/2 smooth 1/2 ribbed plate, top version. total power 14 kw. 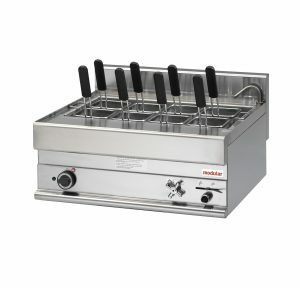 Electric griddle, ribbed plate on open cabinet. total power 15 kw. 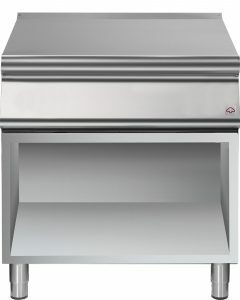 Electric griddle, ribbed chromed plate on open cabinet. total power 15 kw. 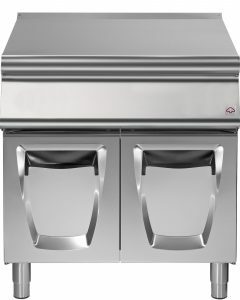 Electric griddle, ribbed chromed plate on cabinet with doors. total power 15 kw. Electric griddle, ribbed chromed plate, top version. total power 15 kw. 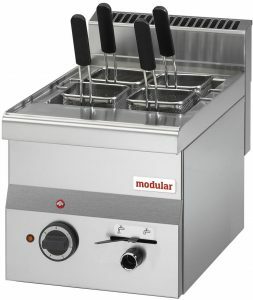 Electric griddle, ribbed plate on cabinet with doors. total power 15 kw. 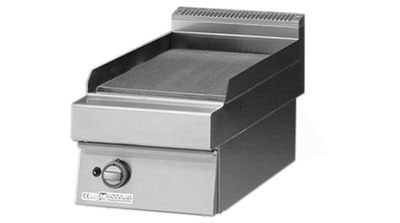 Electric griddle, ribbed plate, top version. total power 15 kw. 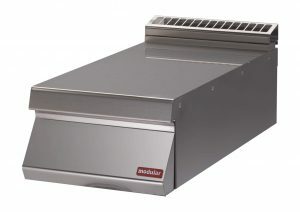 Gas griddle, ribbed pate on open cabinet. total power 14 kw. 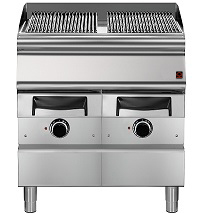 Gas griddle, ribbed chromed plate on open cabinet. total power 21 kw. Gas griddle, ribbed chromed plate on cabinet with doors. total power 21 kw. Gas griddle, ribbed chromed plate, top version. total power 21 kw. Gas griddle, ribbed plate on cabinet with doors. total power 14 kw. 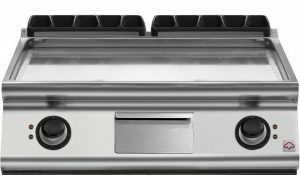 Gas griddle, ribbed plate, top version. total power 14 kw. Electric aqua grill, cooking zone in cast iron. power 15 kw. Gas aqua grill, cooking zones in cast iron. power 22 kw. Gas lava-stone grill on cabinet with doors, cooking zones in stainless steel. power 19 kw. 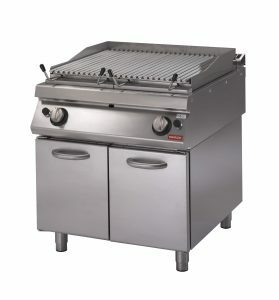 Gas lava-stone grill , top version. power 19 kw. 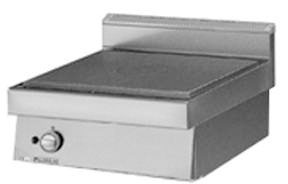 Induction plate on open cabinet. power 20 kw. Induction plate on cabinet with doors. power 20 kw. Induction plate, top version. power 20 kw. 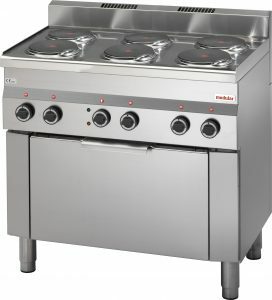 Electric range, 4 tilting heating plates, in open cabinet. total power 16 kw. 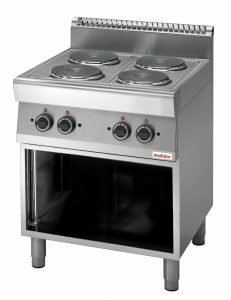 Electric range, 4 tilting heating plates, on cabinet with doors. total power 16 kw. Electric range, 4 tilting heating plates, top version. total power 16 kw. 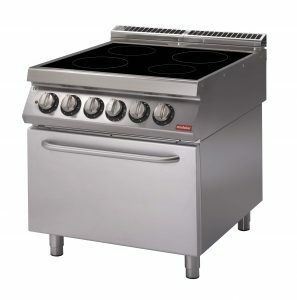 Electric range, 4 square plates, on open cabinet. 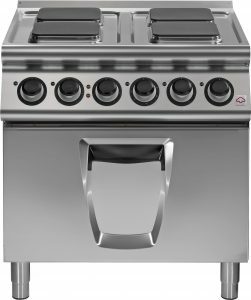 Electric range, 4 square plates, on cabinet with doors. 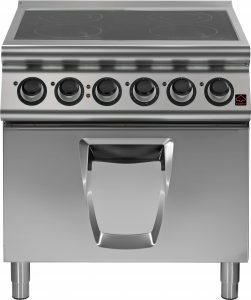 Electric range, 4 square plates, top version. total power 14 kw. Gas range on open cabinet, 4 burners, enamelled containers. total gas power 26 kw. 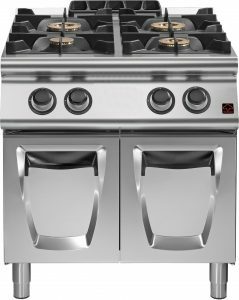 Gas range on cabinet with doors, 4 burners, enamelled containers. total gas power 26 kw. 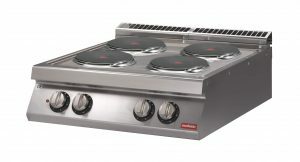 Gas range top version, 4 burners, enamelled containers. total gas power 26 kw. 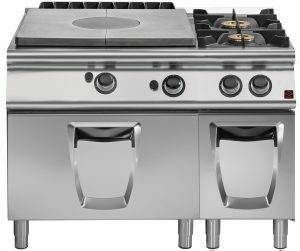 Gas range top version, 4 burners, stainless steel containers. total gas power 26 kw. 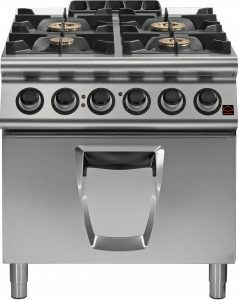 Gas range on cabinet with doors, 4 burners, stainless steel containers. total gas power 26 kw. 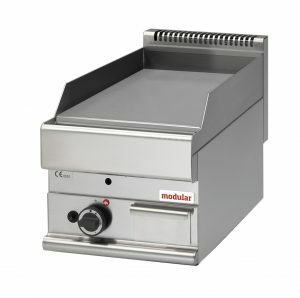 Electric boiling pan, indirect heating, 100 lt capacity. 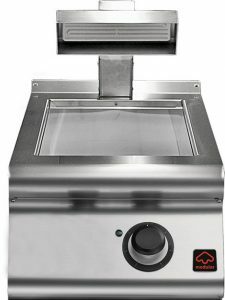 Electric boiling pan, indirect heating, 100 lt capacity. power 21,3 kw. Gas boiling pan, direct heating, 150 lt. power 24 lt.
Gas boiling pan, indirect heating, 100 lt capacity. power 21 kw. 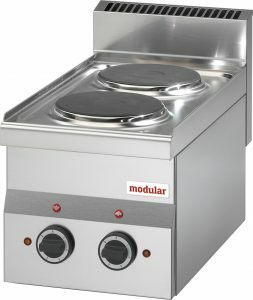 Gas boiling pan, indirect heating, 150 lt capacity. power 24 kw. 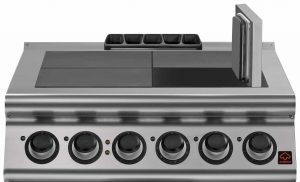 Electric solid tops on open cabinet, 4 cooking zones. total power 13,6 kw. 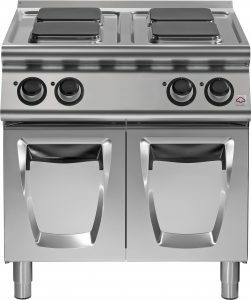 Electric solid tops on cabinet with doors, 4 cooking zones. total power 13,6 kw. 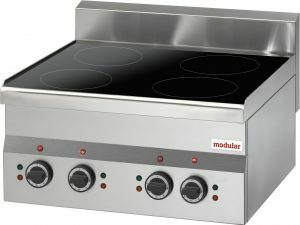 Electric solid tops, 4 cooking zones, top version. total power 13,6 kw. 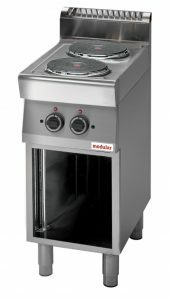 Electric solid tops onelectric oven, 4 cooking zones. 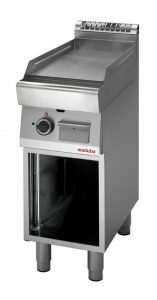 ovens power 6 kw. total power 19,6 kw. Gas solid top on gas oven. total gas power 20 kw. 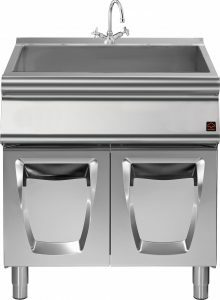 Gas solid top on open cabinet with doors. total gas power 12 kw. Gas solid top on cabinet with doors. total gas power 12 kw. Gas solid top, top version. total gas power 12 kw. 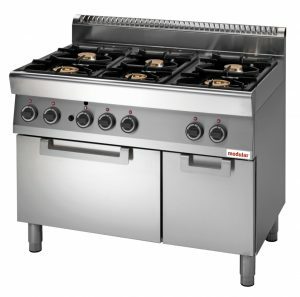 Gas solid top + 2 burners on gas oven. total gas power 28 kw. 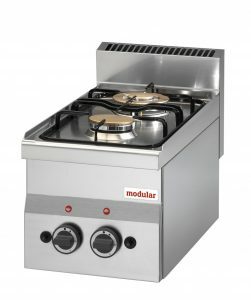 Gas solid top + 2 burners on open cabinet. total gas power 20 kw. 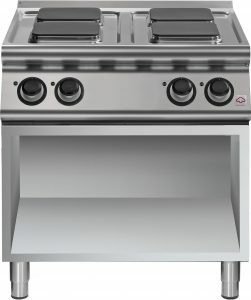 Gas solid top + 2 burners on cabinet with doors. total gas power 20 kw. 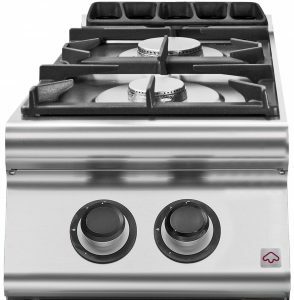 Gas solid top + 2 burners, top version. total gas power 20 kw. 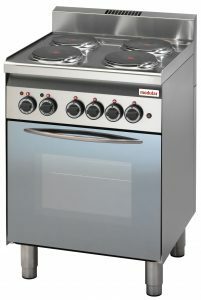 Gas range, 4 burners, gas oven, enamelled containers. total power 26,4 kw.